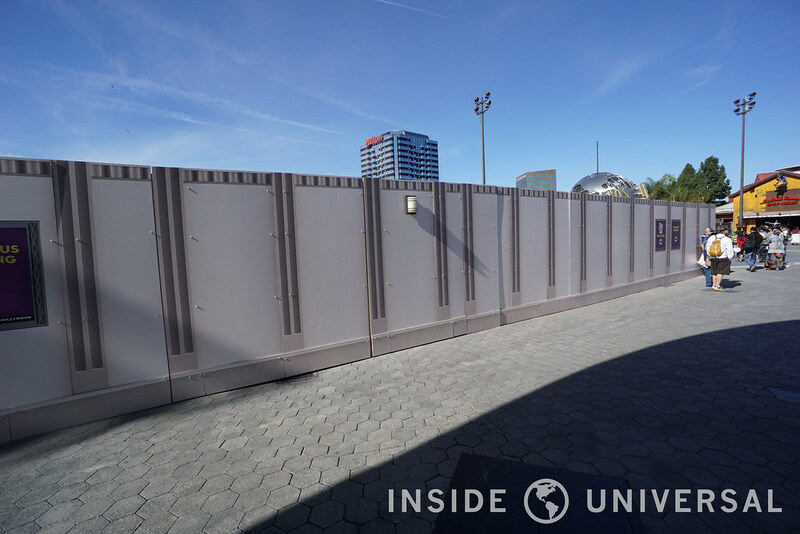 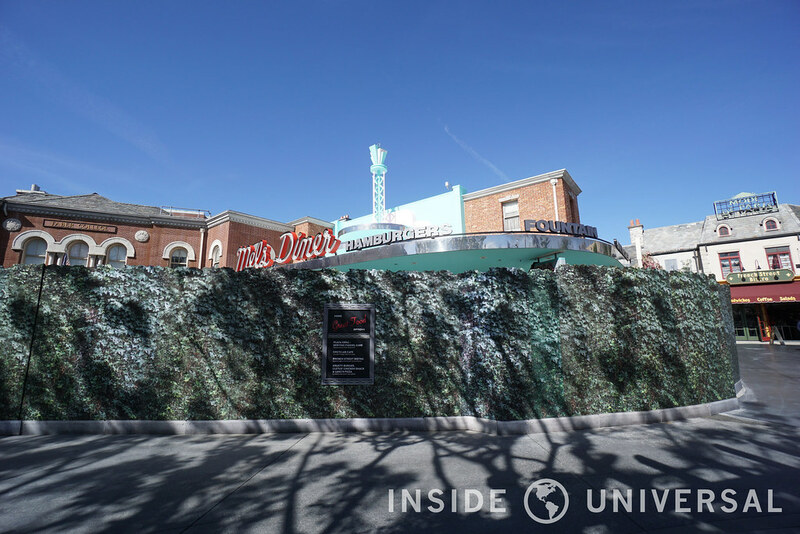 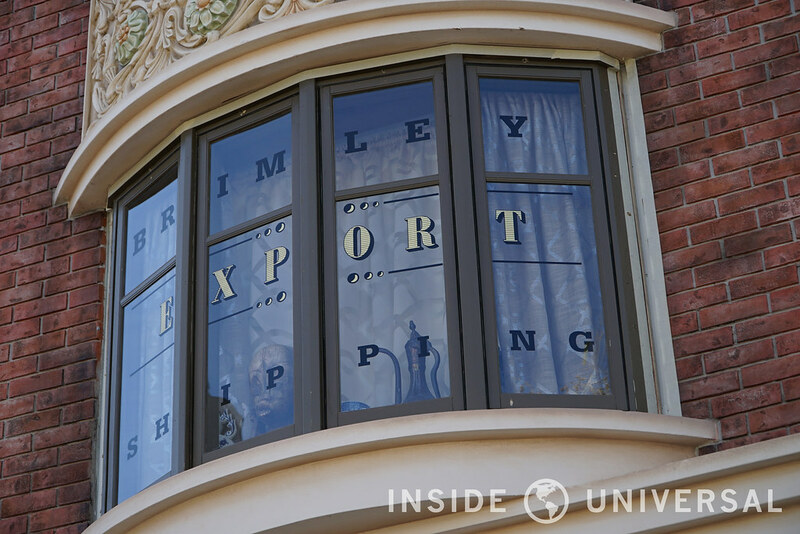 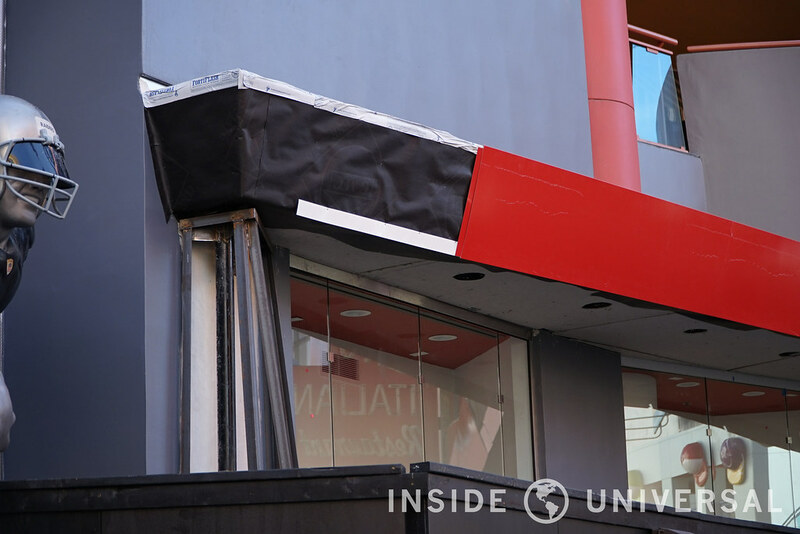 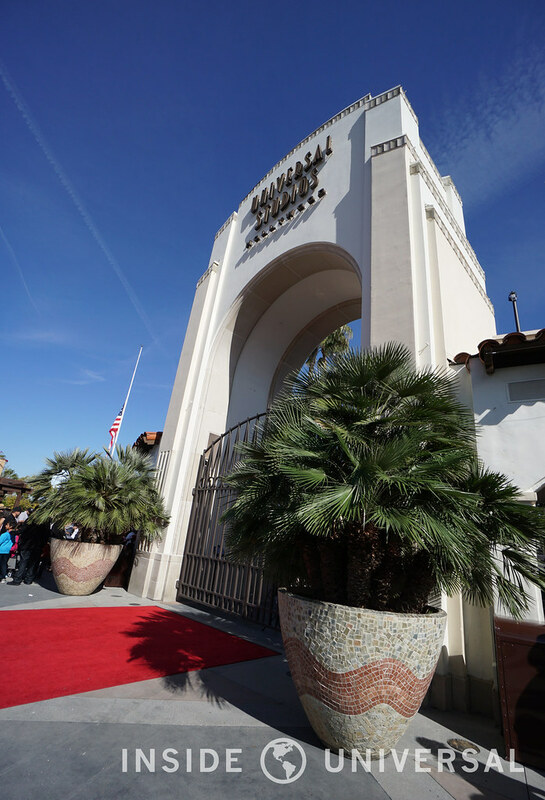 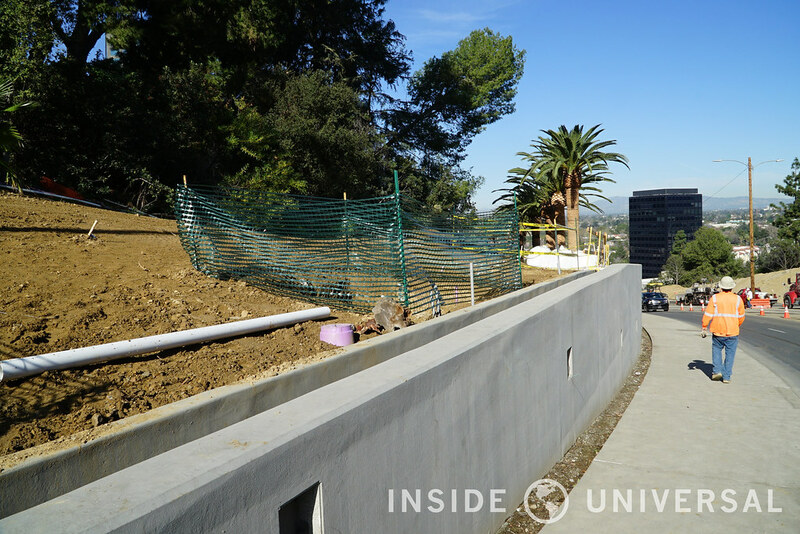 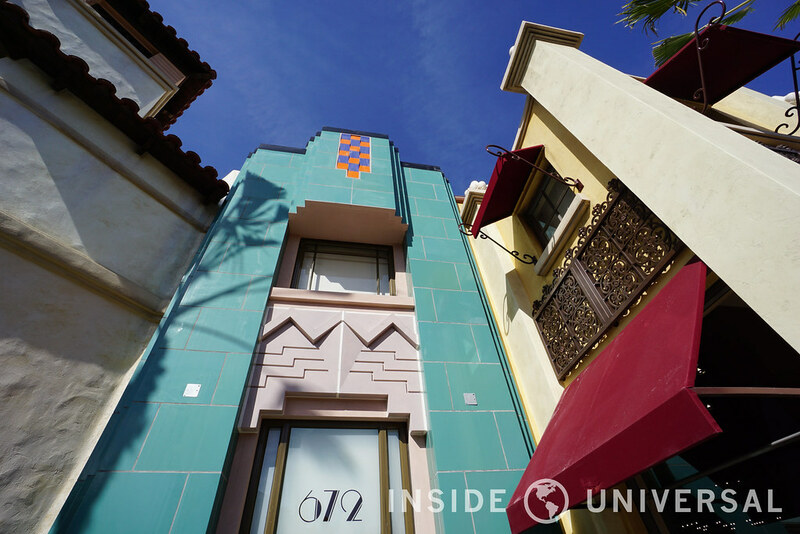 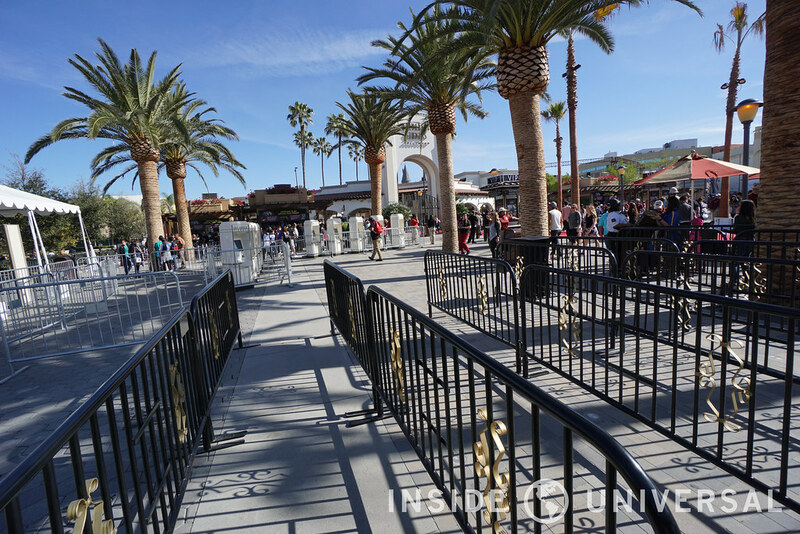 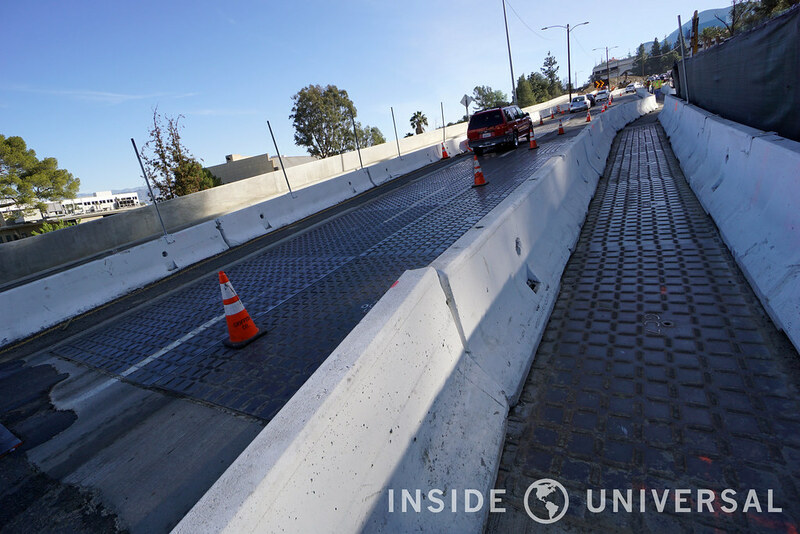 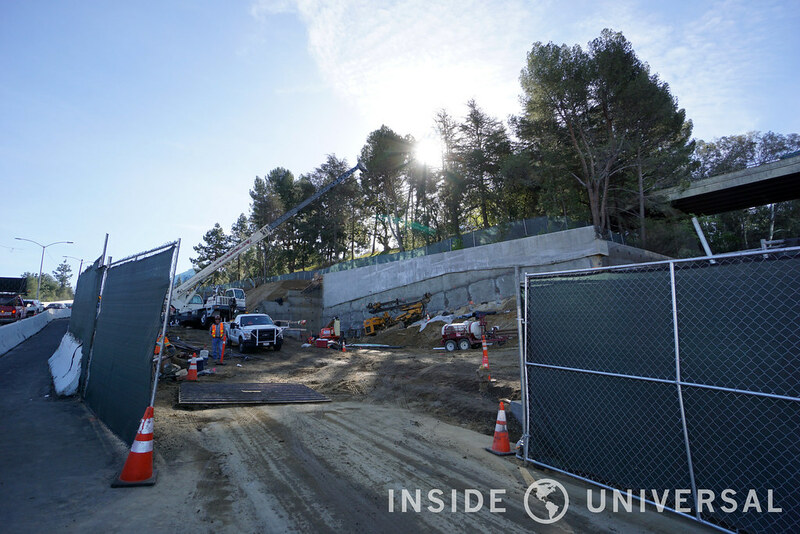 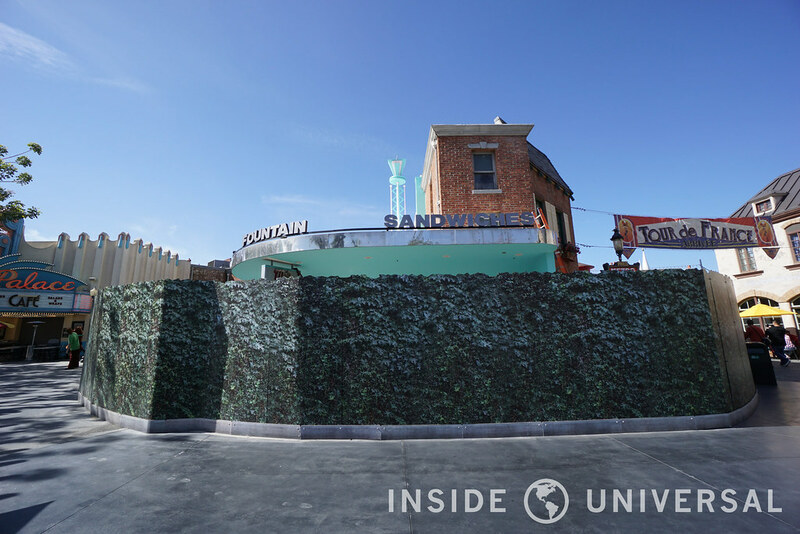 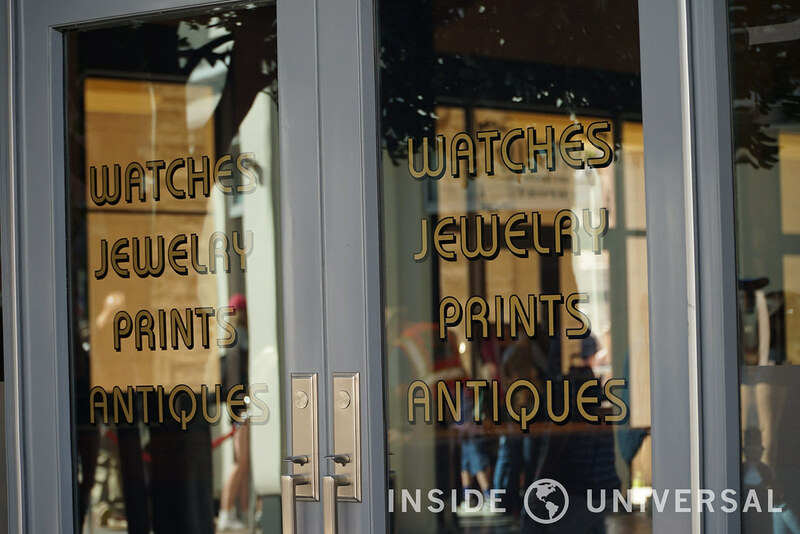 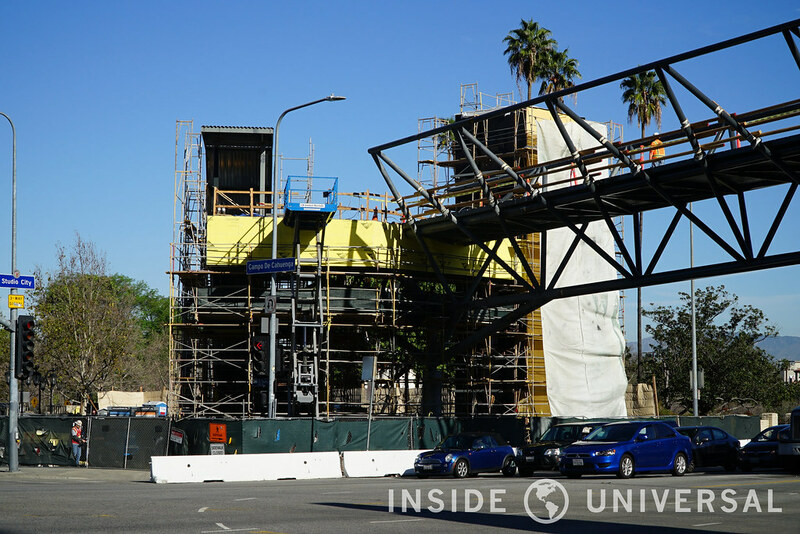 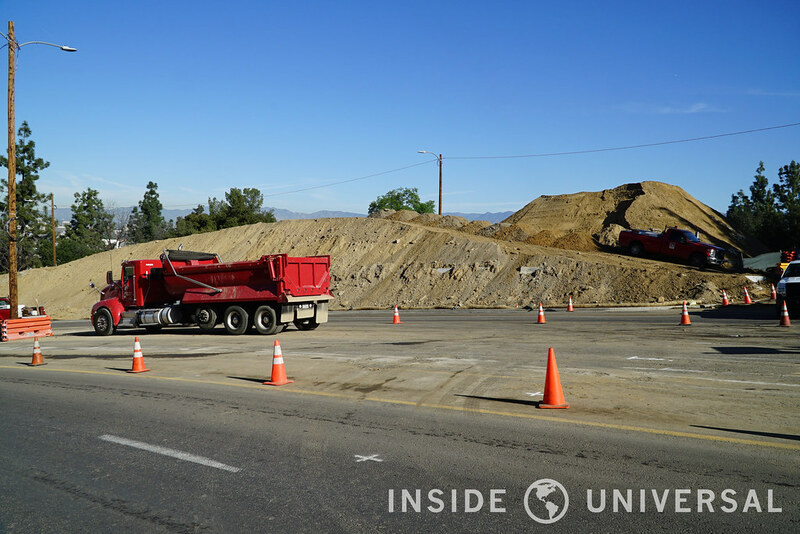 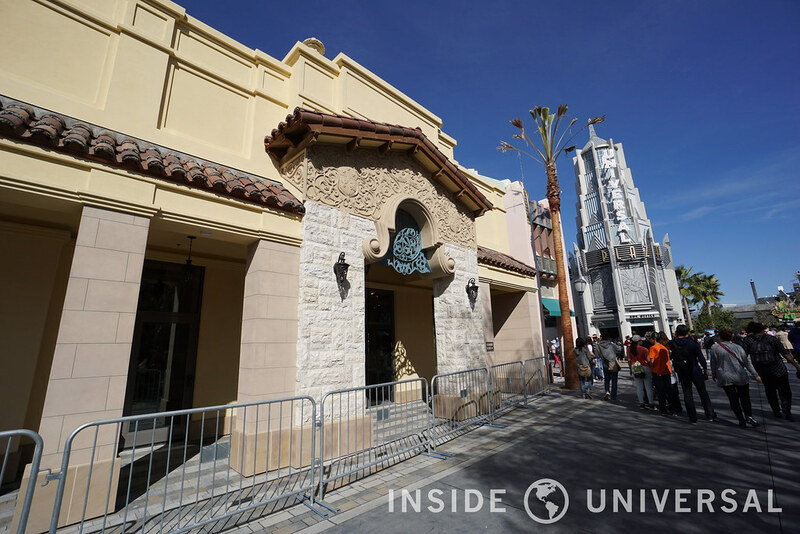 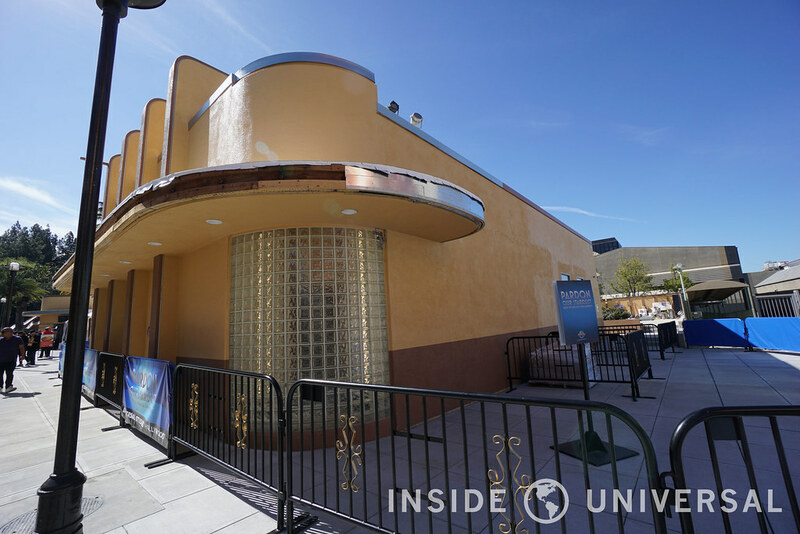 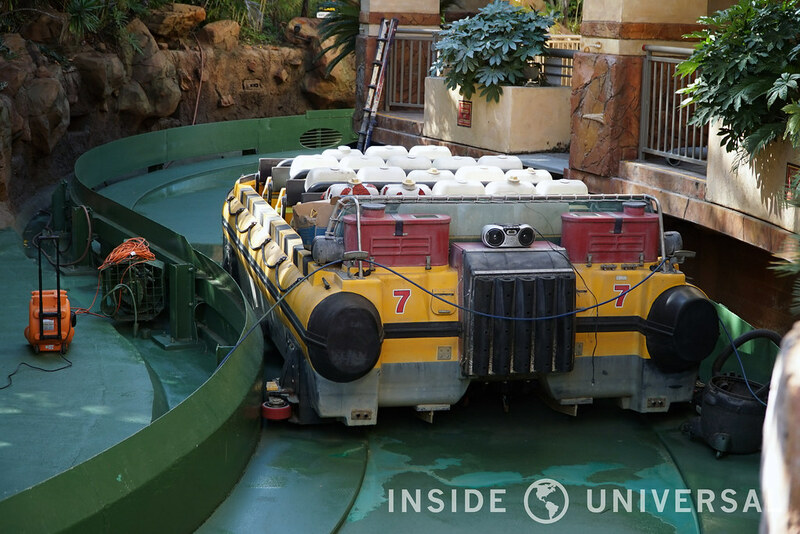 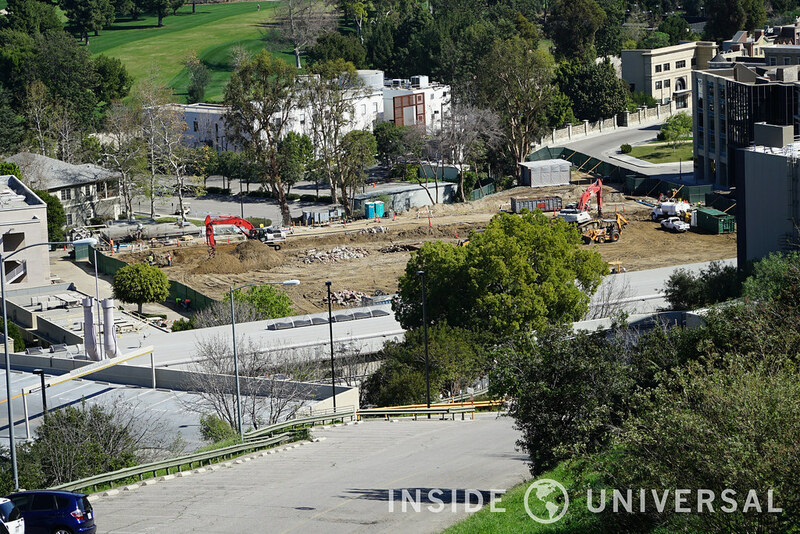 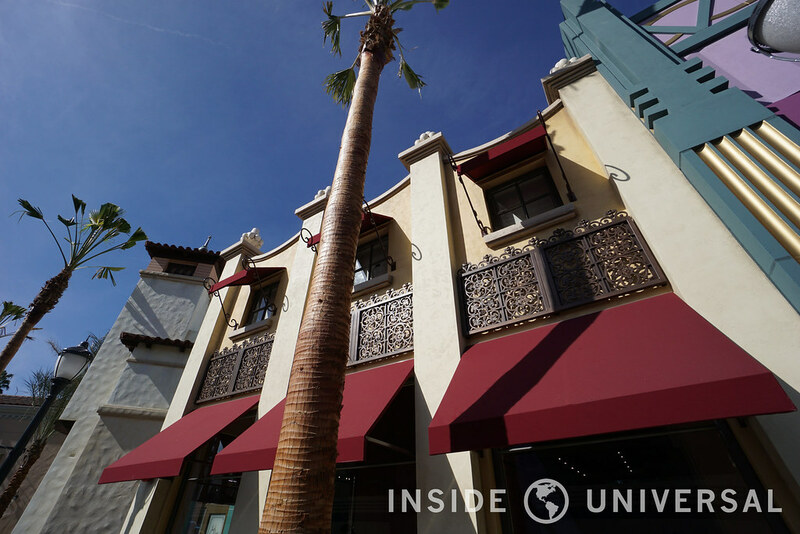 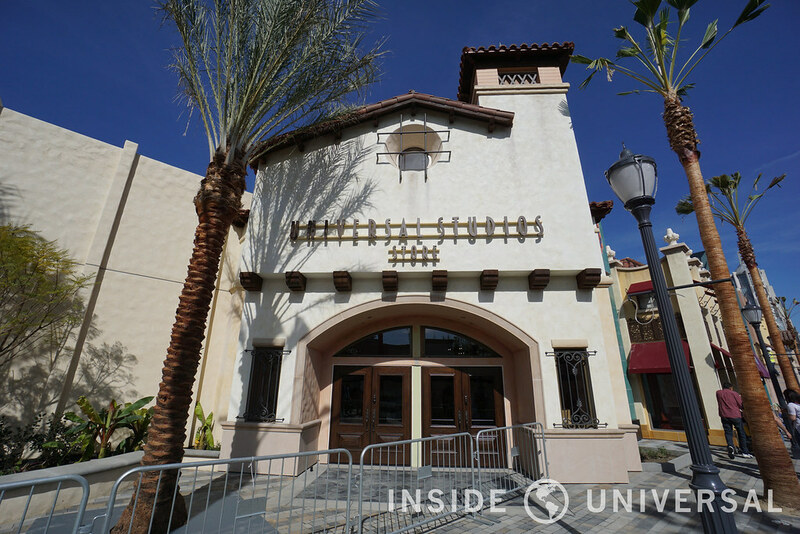 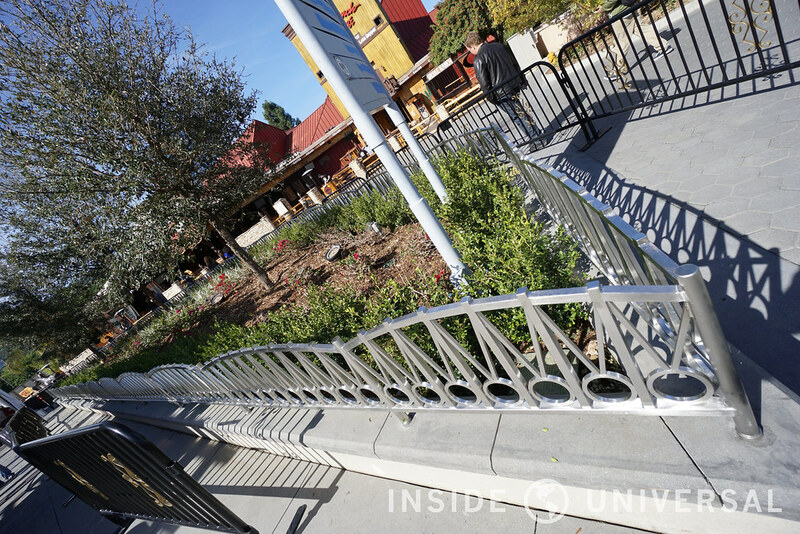 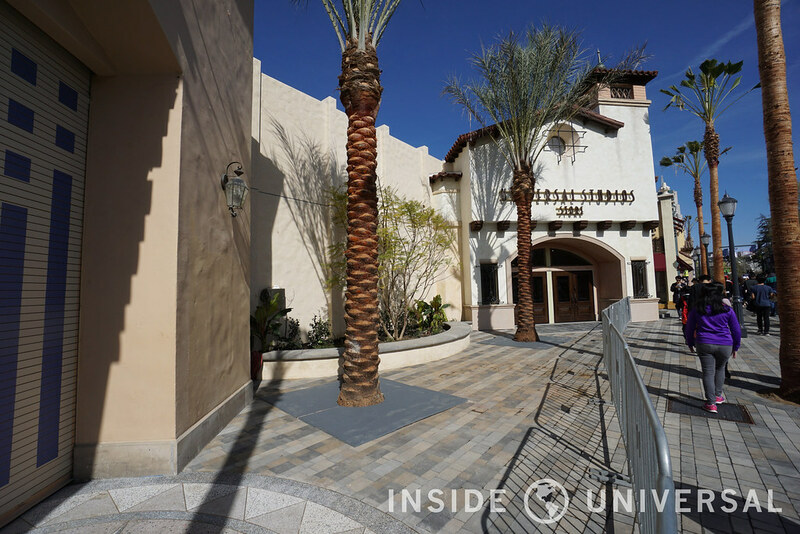 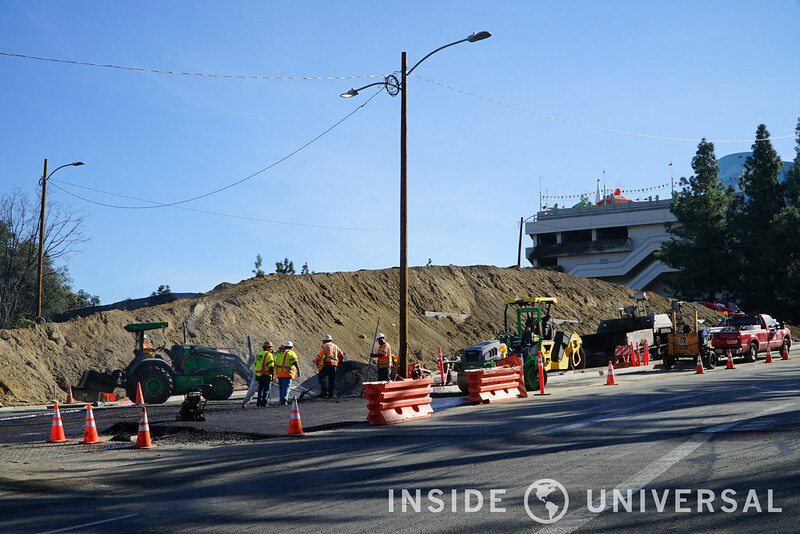 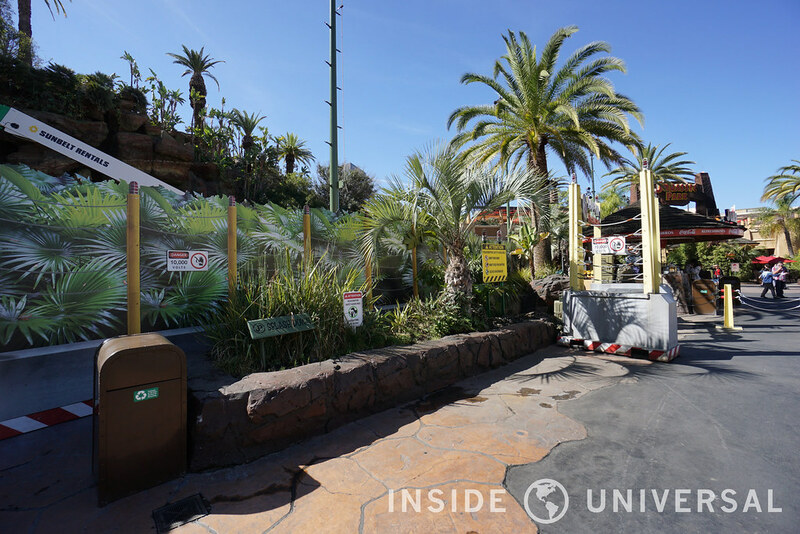 Photo Update: February 20, 2016 – Universal Studios Hollywood – Jurassic Park, Entrance, Universal Boulevard and More! 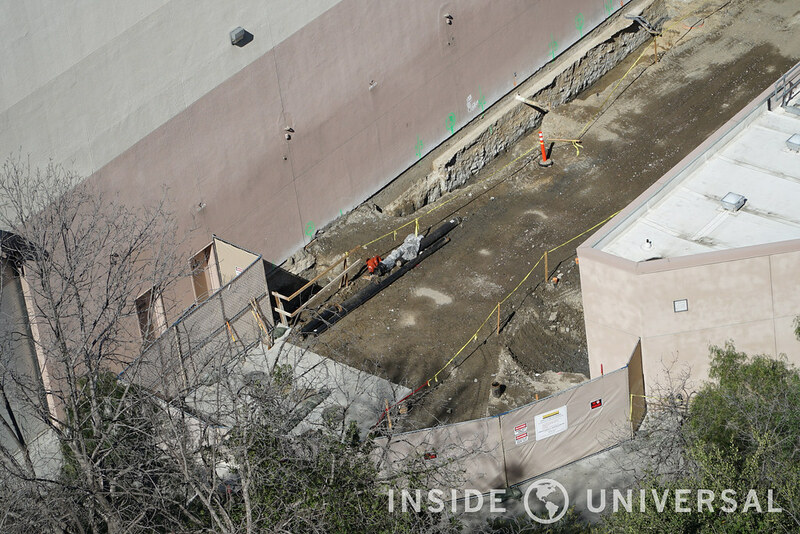 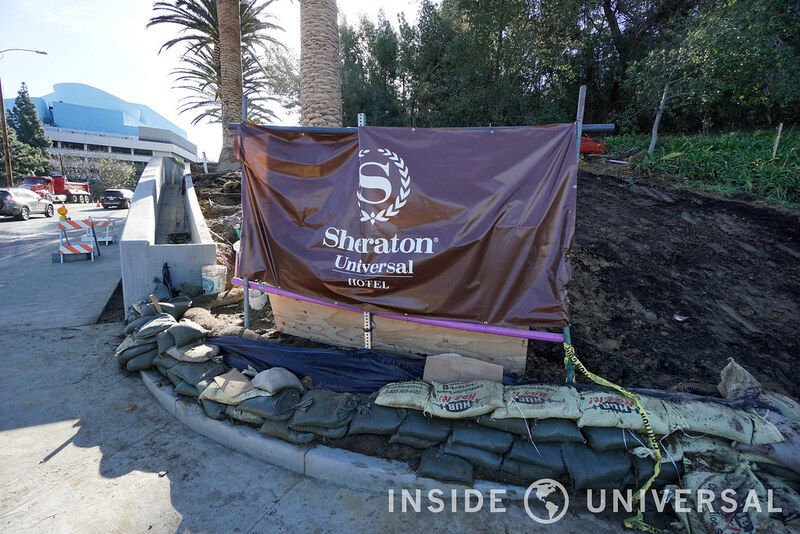 We’re back with another photo update from Universal Studios Hollywood, this time focusing on CityWalk Hollywood, the entrance of the park, the revelation of Universal Boulevard, the continuing refurbishment of Mel’s Diner and Jurassic Park: The Ride, the work occurring on the former NBCUniversal Experience structure, Universal’s world famous backlot and the rear of Revenge of the Mummy: The Ride. 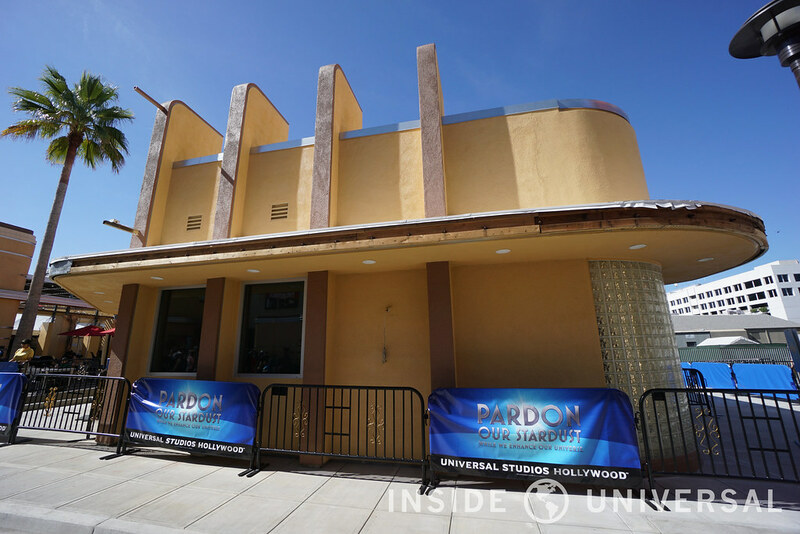 Starting with the Lankershim projects, Universal has finally installed a new LED sign in the place of the previous marquee. 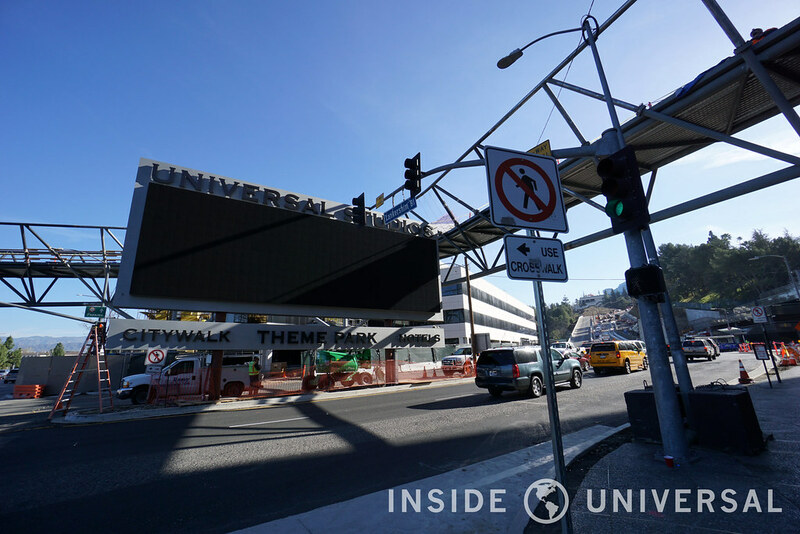 Featuring a large LED display with Universal City’s offerings succinctly displayed below, the sign just barely touches the neighboring pedestrian bridge beside it. 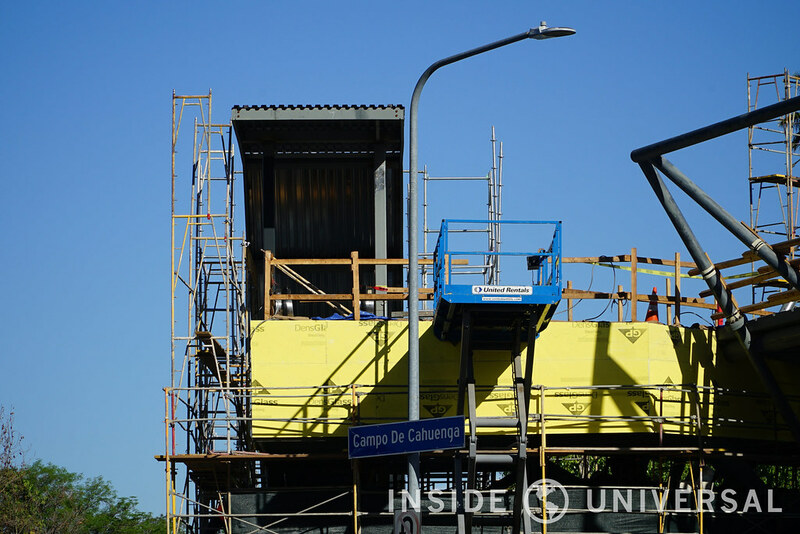 Moving to the pedestrian bridge, construction crews continue to work on the elevator shaft and escalator passageway that flank the opposing ends of the intersection. 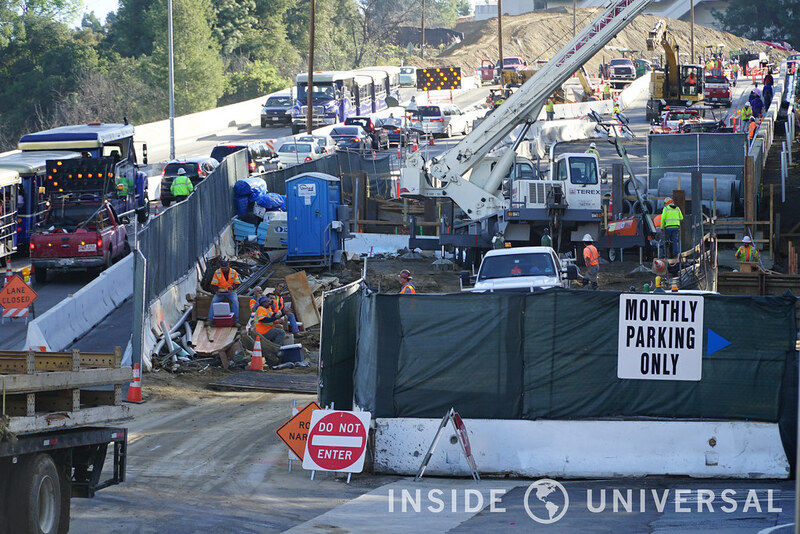 The bridge – finally reaching its finalized shape – appears to opt for a utilitarian design, with crews continuing to carry material to finalize its design. 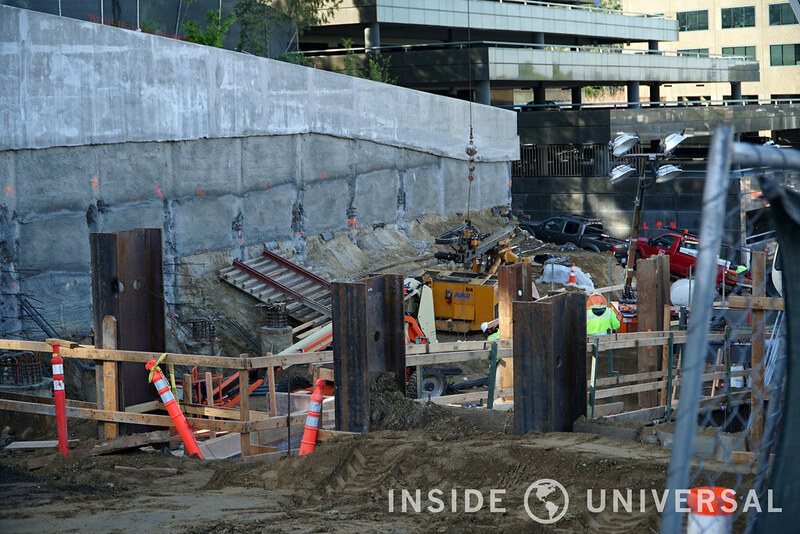 Finally, while portions of the Lankershim hill appear to be finished (namely the retaining walls by the Sheraton Universal), the underground tunnel connecting 10 Universal City Plaza and Universal Studios is still receiving significant work. 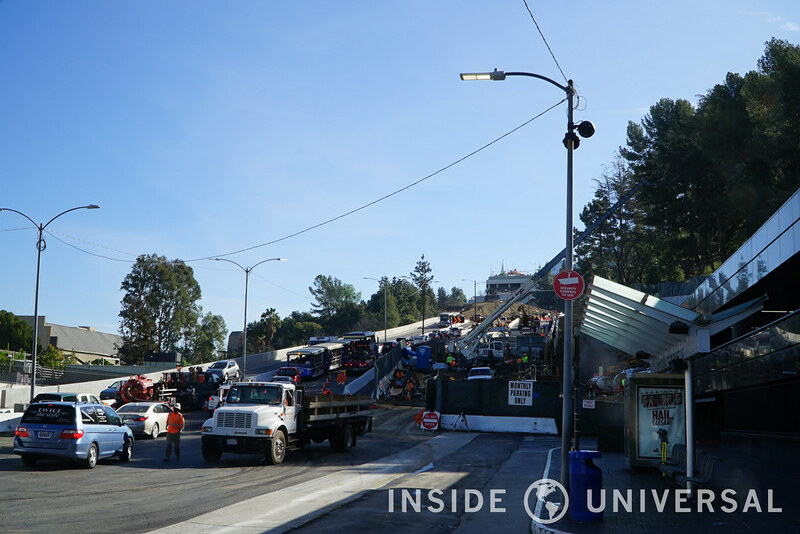 Traffic going up and down the hill continues to be impacted as crews restrict the roadway to one lane. 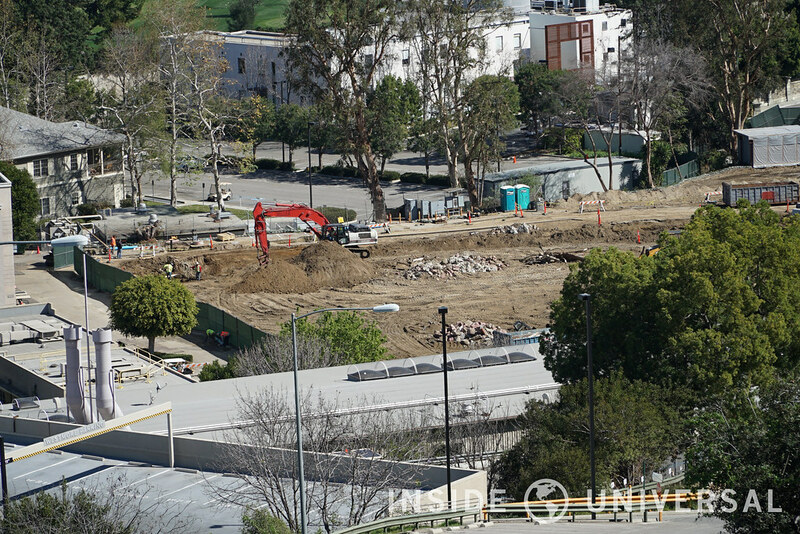 Dirt from the project has been relocated to the former Fung Lum plot, which has yet to see any progress on the proposed hotel. 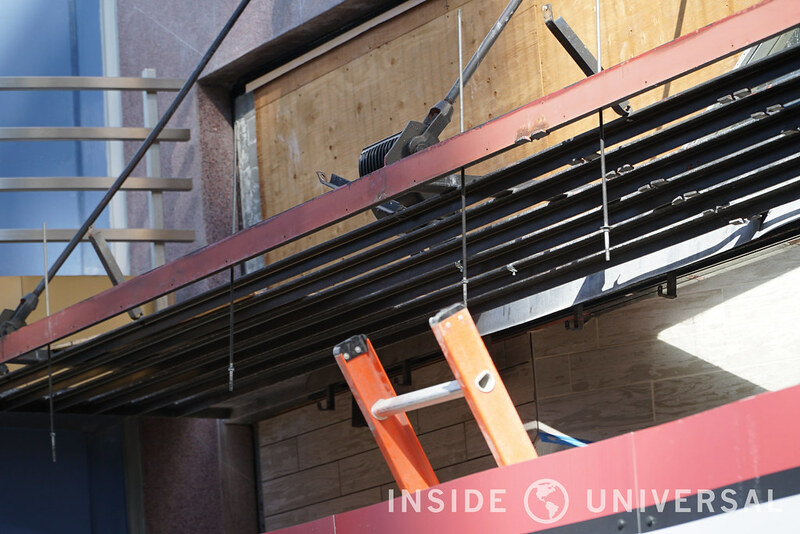 Moving over to CityWalk Hollywood, crews continue to work on the new Shoe Palace facade. 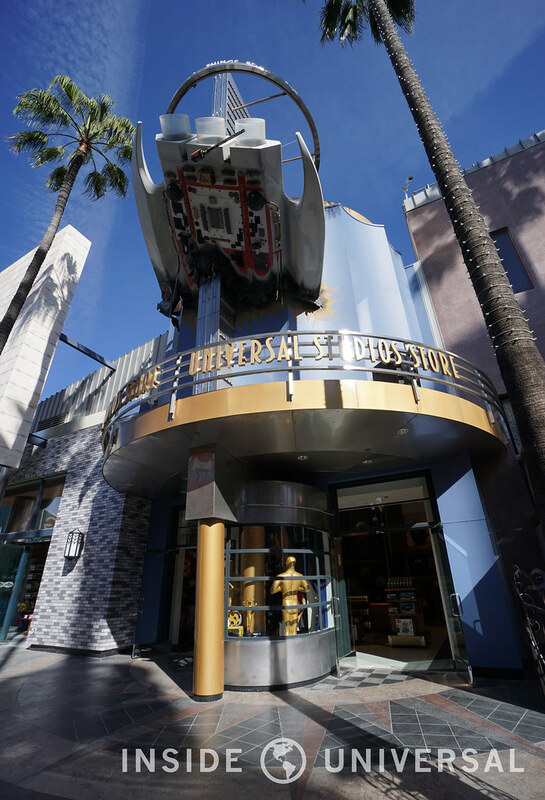 Combining the facades of the Stop and Play and Salvatory Shoes stores into one unified storefront, the new Shoe Palace facade occupies a sizable retail footprint in that corner of CityWalk – especially for a shoe shop. 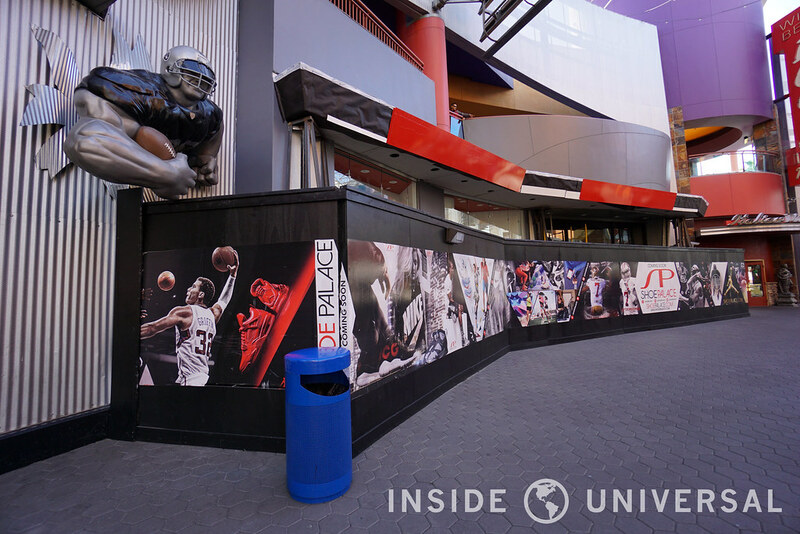 One has to wonder how Shoe Palace will impact CityWalk and its current redevelopment, and what the ultimate goal of the new direction will turn out to be. 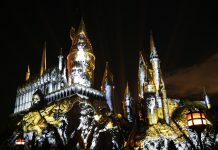 Moving over to the Five Towers stage, Celebrity Apprentice was spotted filming over the weekend for an episode that appears to feature The Wizarding World of Harry Potter. 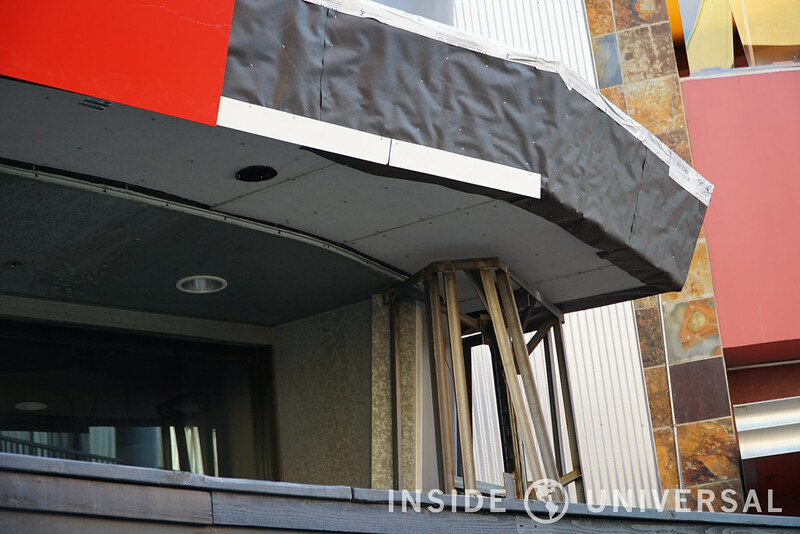 While exterior filming was somewhat light (at least in the early afternoon), guests were invited inside the AMC Theaters to participate in the upcoming episode. 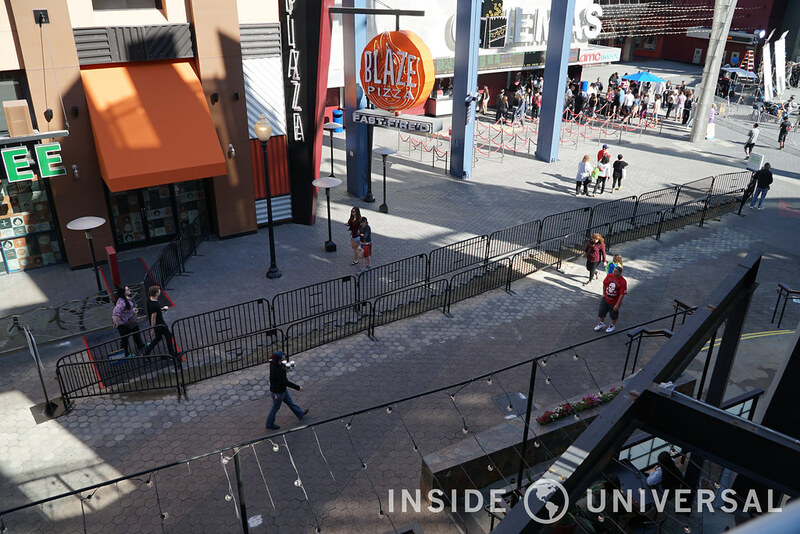 Moving slightly closer to the theme park, construction has also been occurring on the pavement next to Blaze Pizza. 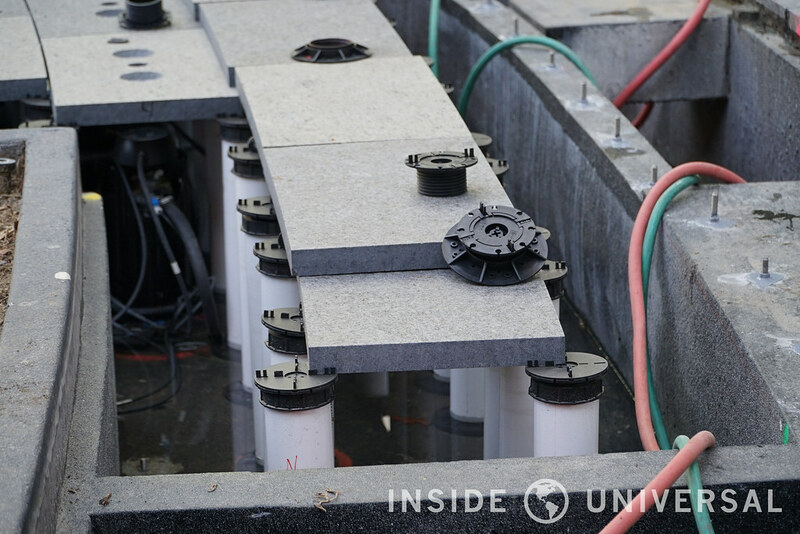 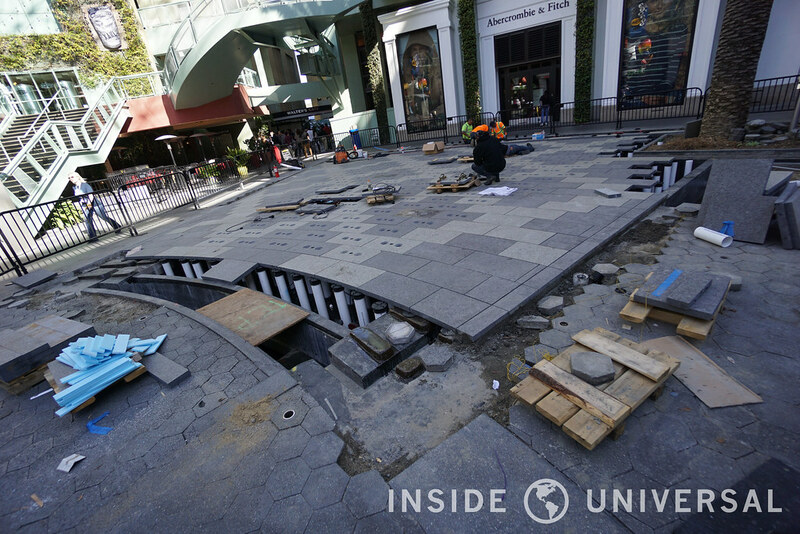 Heading to the CityWalk fountains, the crews from WET have begun implementing the finishing touches on the new fountain. 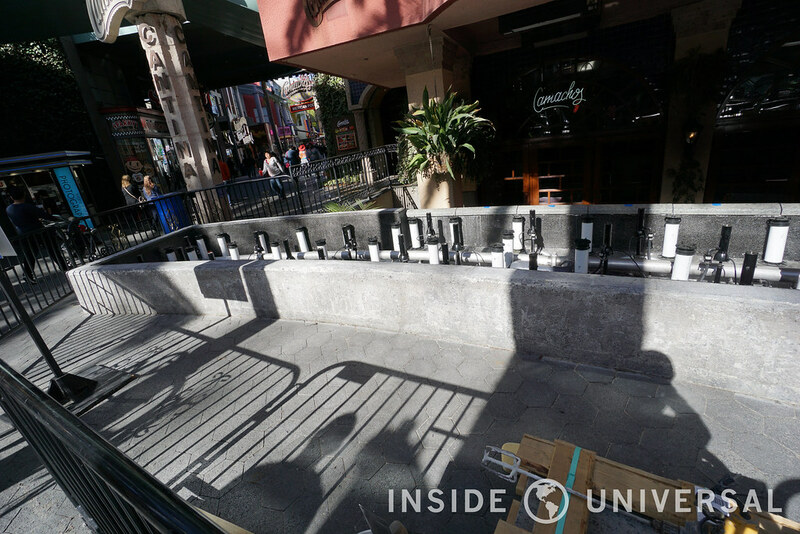 Featuring vibrant LED lighting, the fountains were spotted cycling on Monday night with some of our readers commenting on the similarity between these fountains and Disney’s World of Color nighttime spectacular. 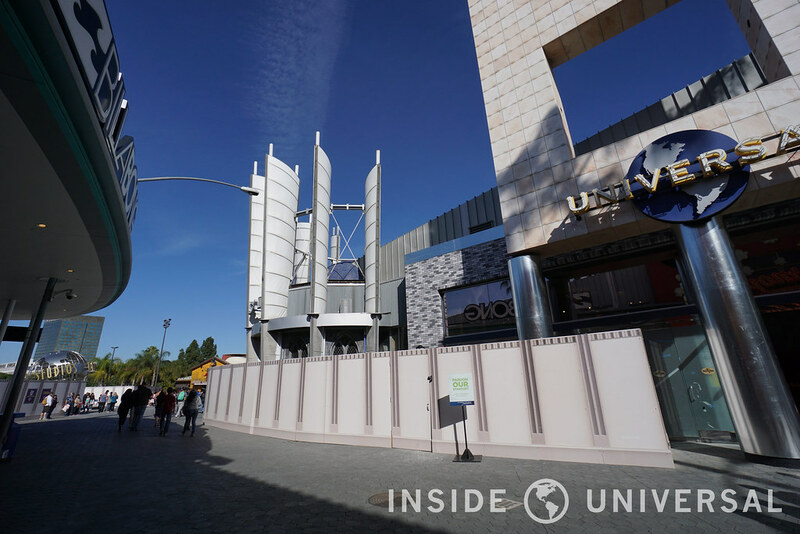 Perhaps CityWalk will sync the fountains with music played in the courtyard? 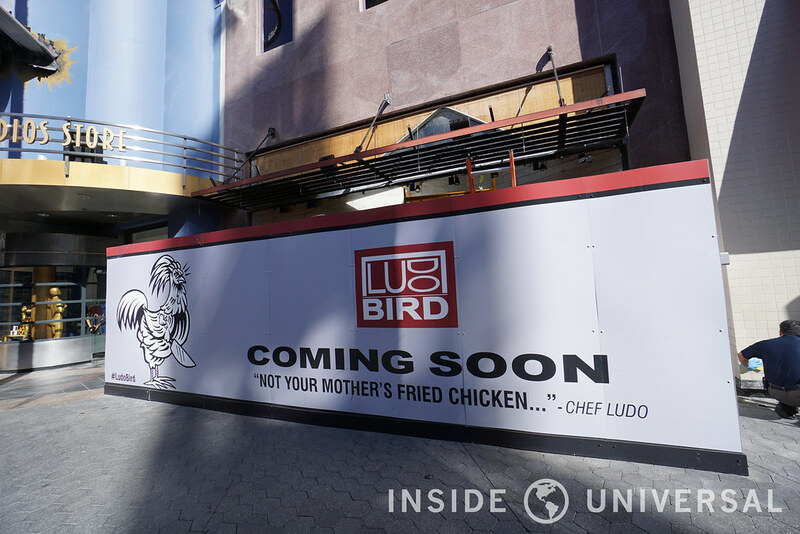 Finally, LUDO Bird has been receiving some minor exterior work with no opening date in sight. 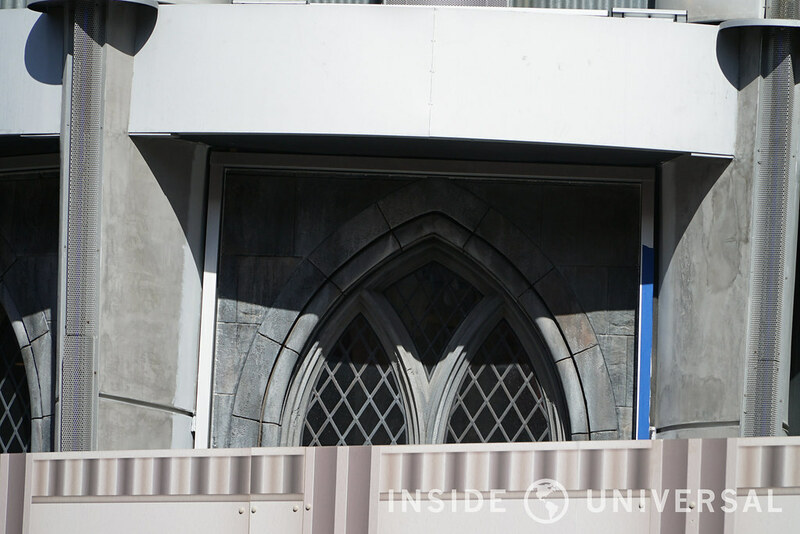 Heading to the Universal Studio Store, construction crews have begun affixing Harry Potter-inspired windows to what will presumably be the Harry Potter section of the refurbished Universal Studio Store. 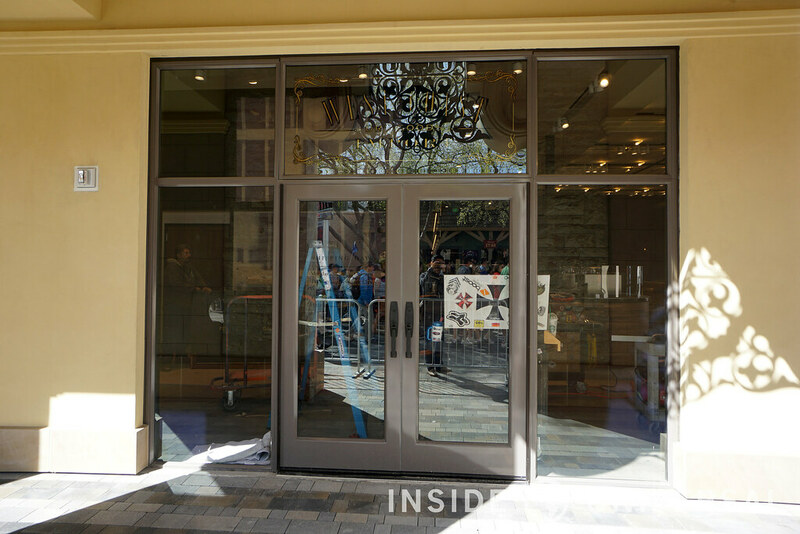 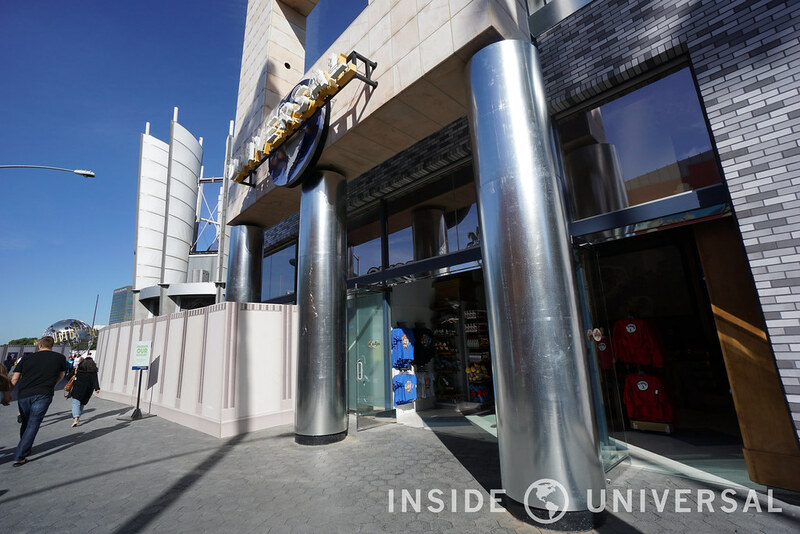 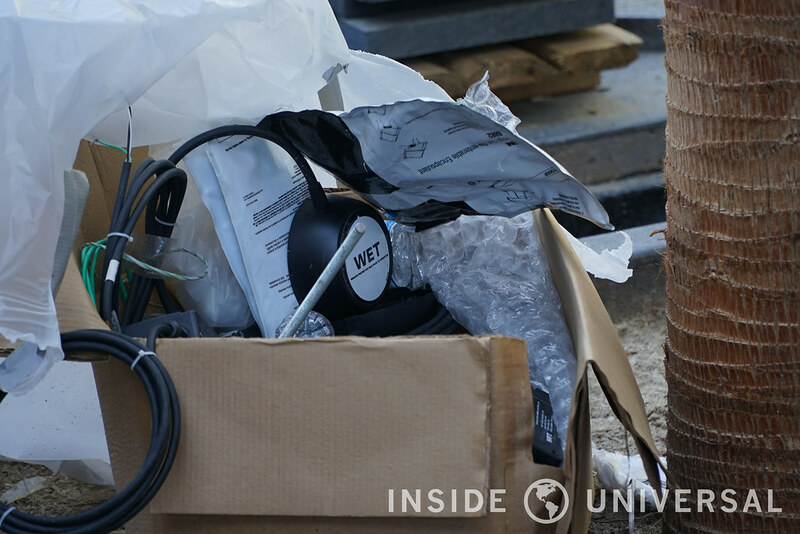 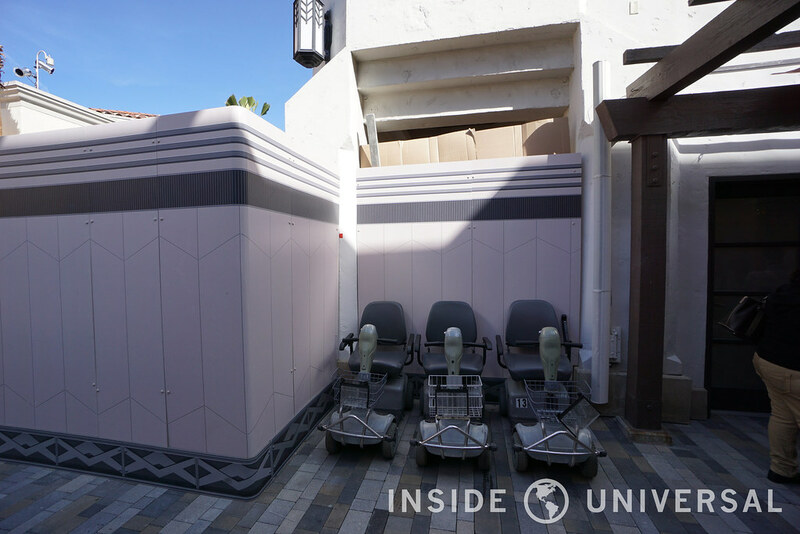 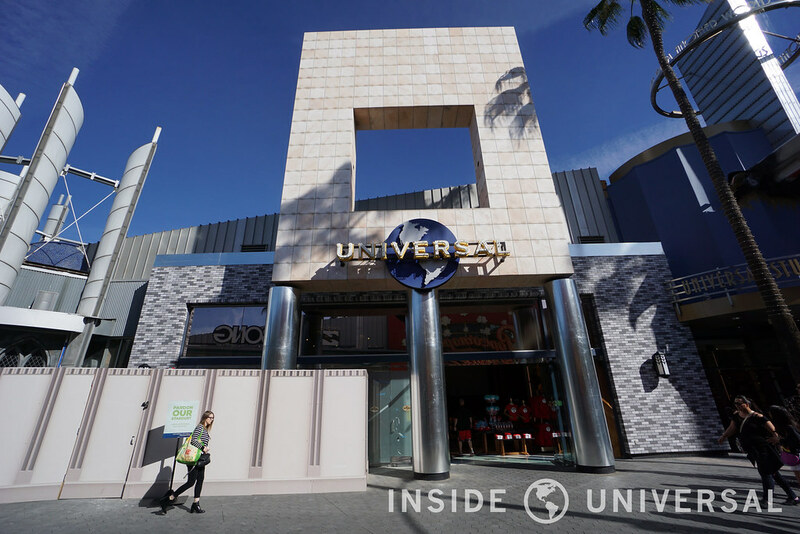 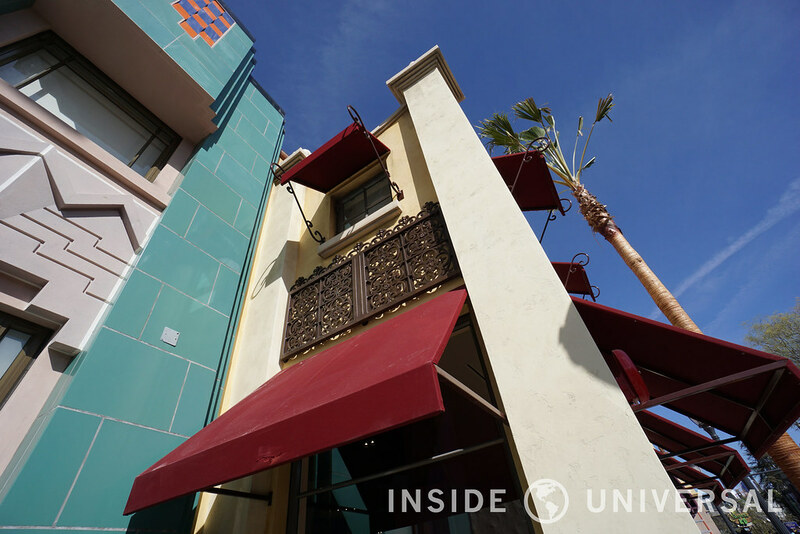 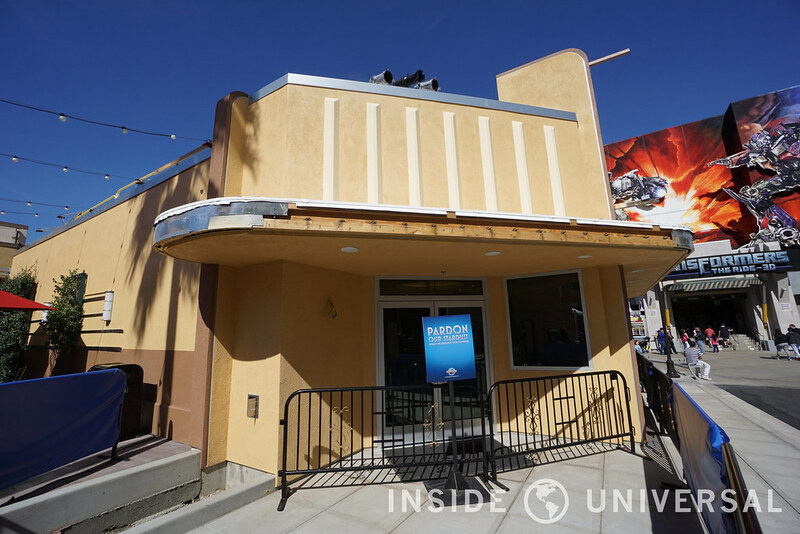 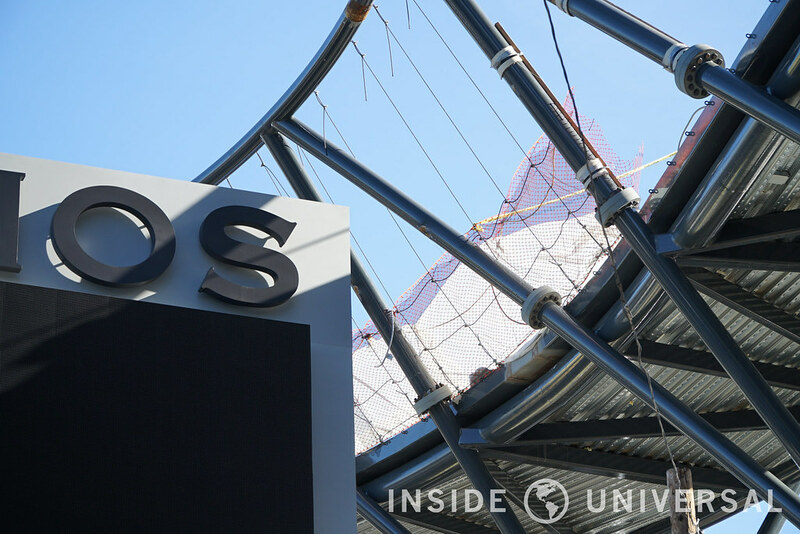 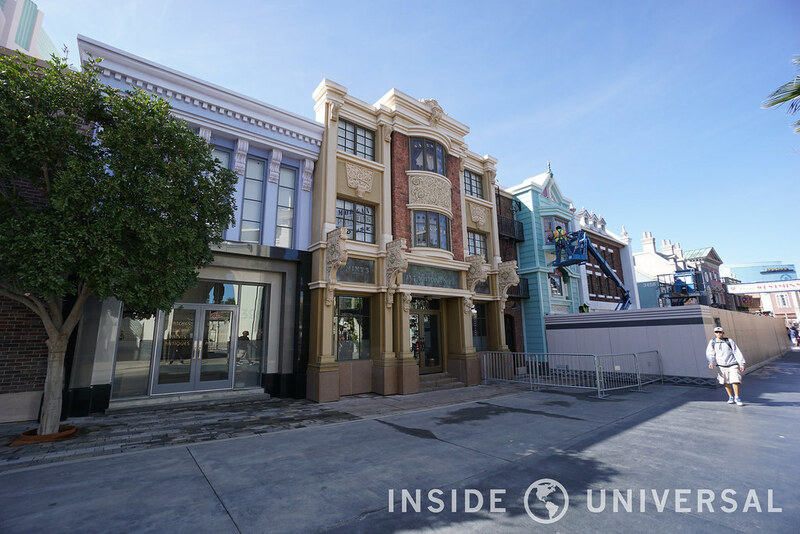 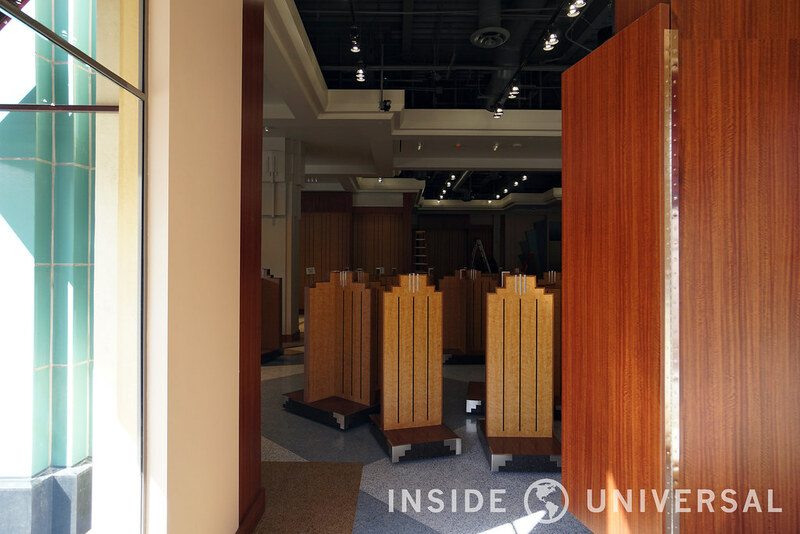 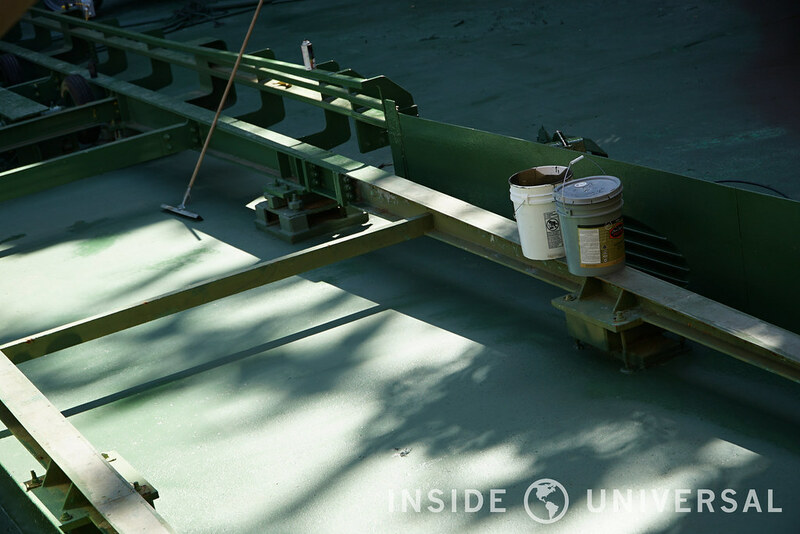 While crews have opened up the new Things From Another World portion of the Universal Studio Store, part of the store’s original footprint remains closed as crews continue to expand the Studio Store’s offerings. 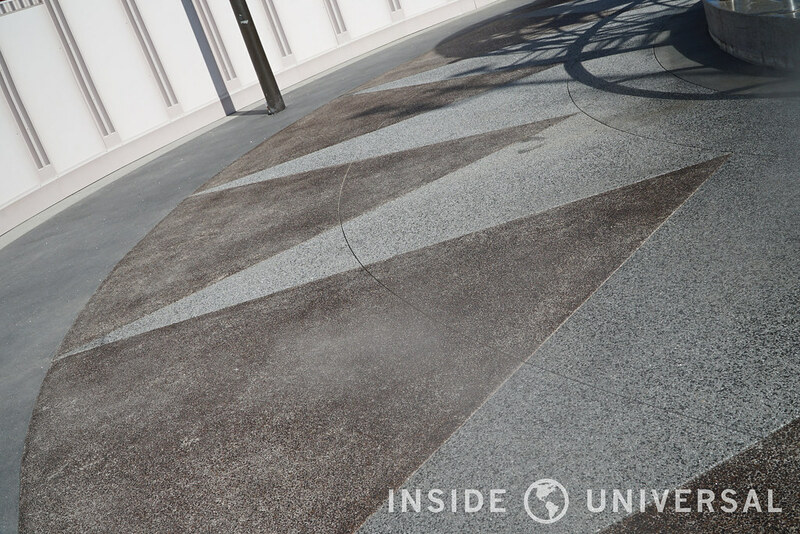 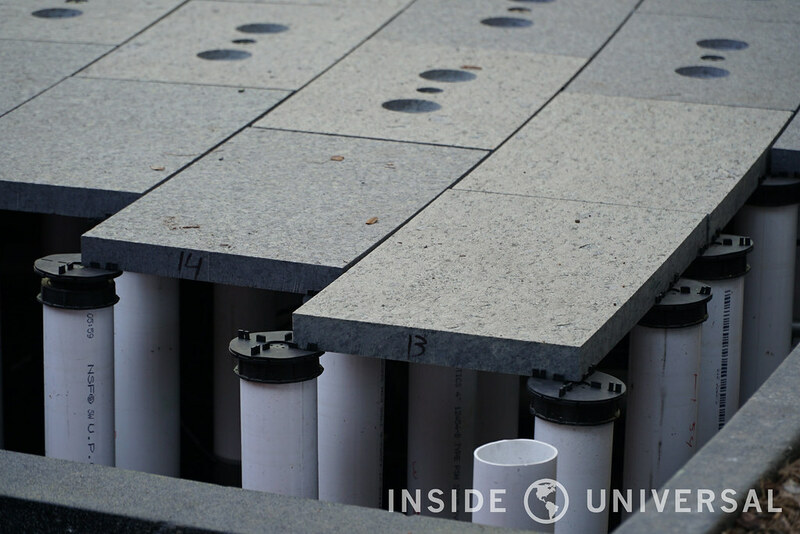 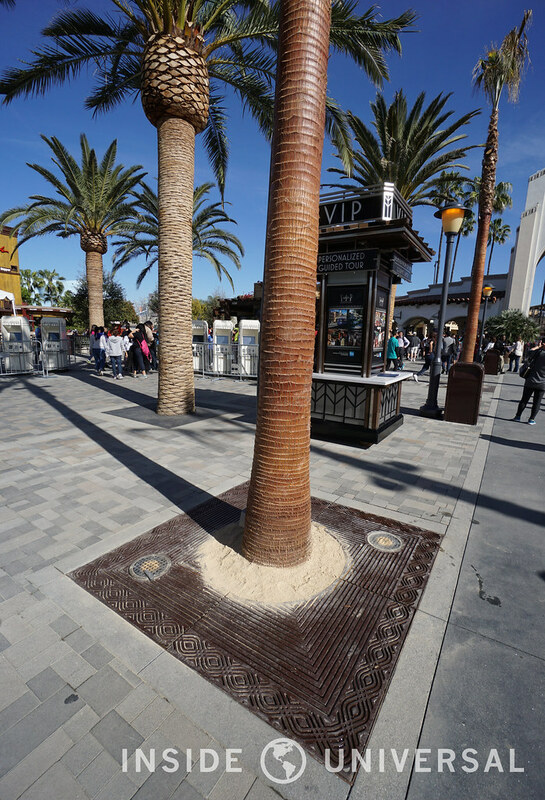 Heading closer to the park itself, Universal has installed new flooring near the Universal uniglobe. 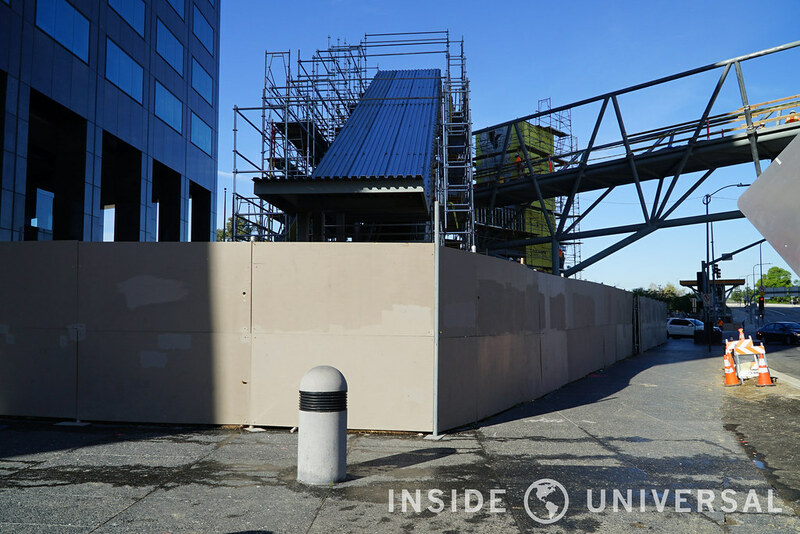 While guests can now take photos near the uniglobe, the globe itself remains stationary as construction walls flank the entrance plaza’s outer perimeter. 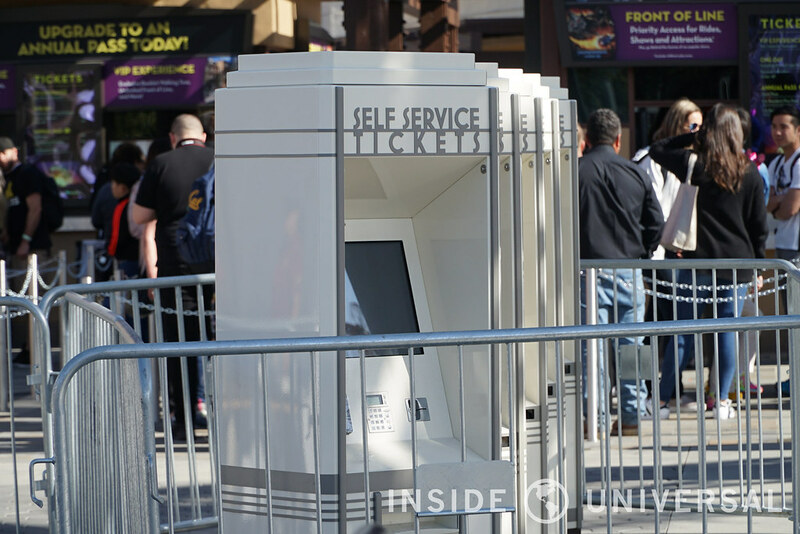 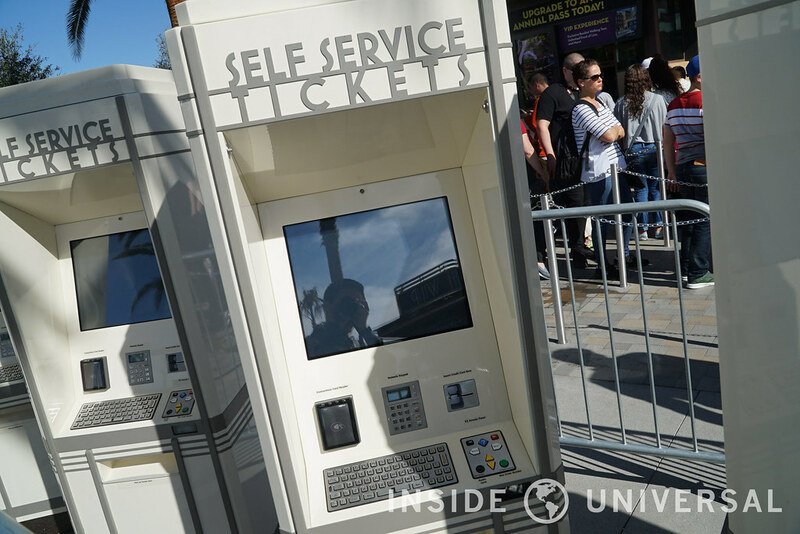 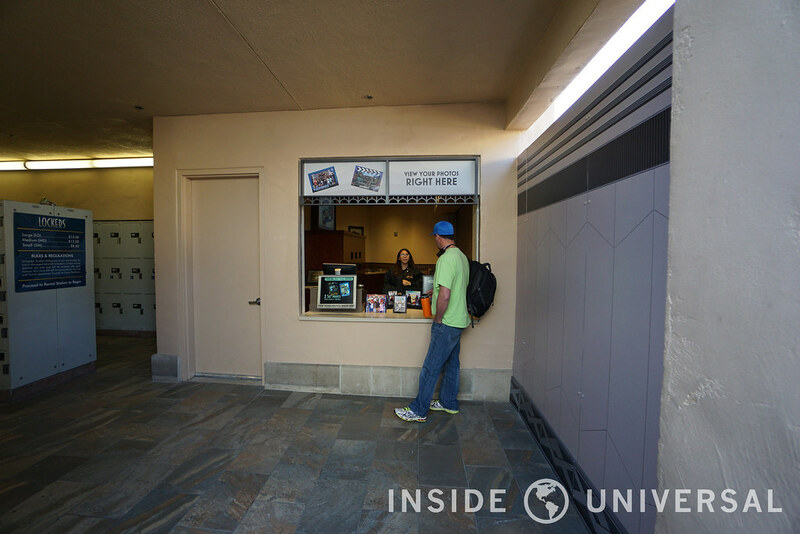 Meanwhile, Universal has also added a slew of self-serve ticket kiosks to replace the larger box offices that were removed in favor of a more spacious entryway to the park. 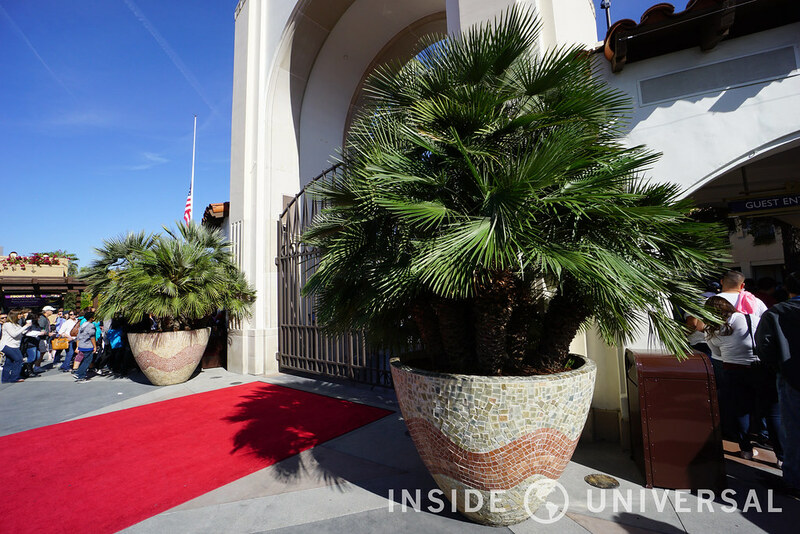 A pair of potted plants in front of the arch complete the entryway’s new look. 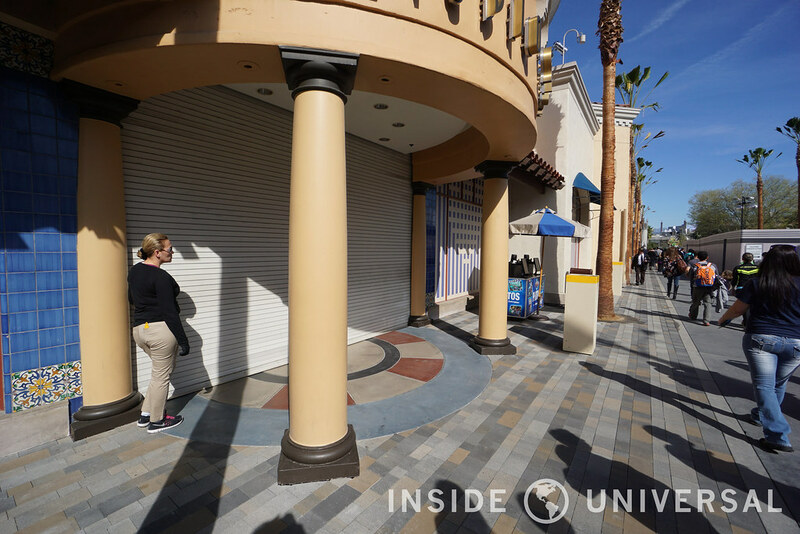 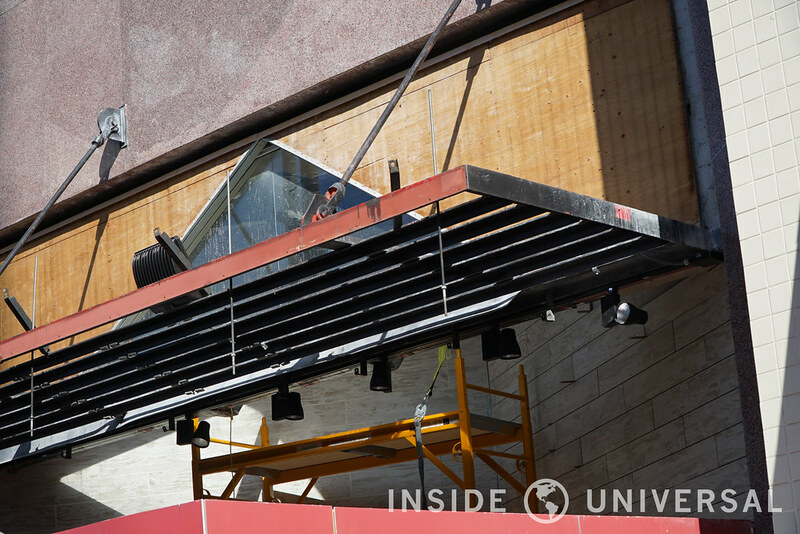 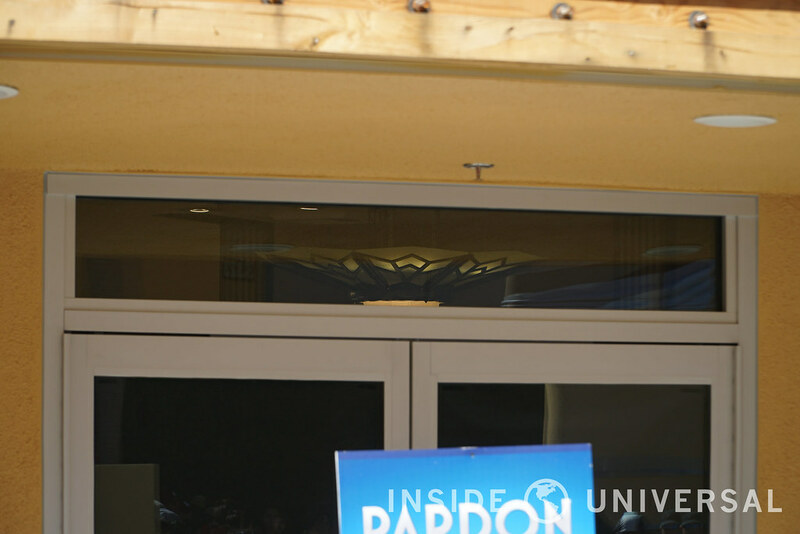 Moving inside the park, walls surrounding Universal Boulevard are down, revealing the park’s new entryway. 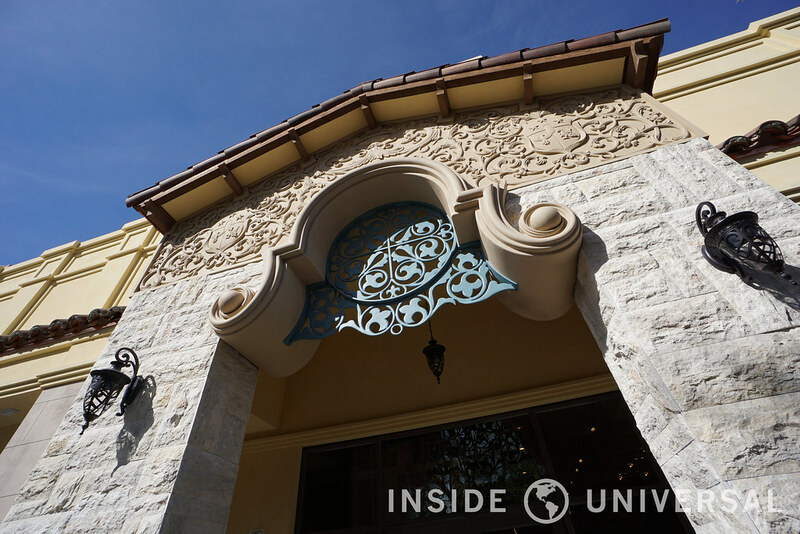 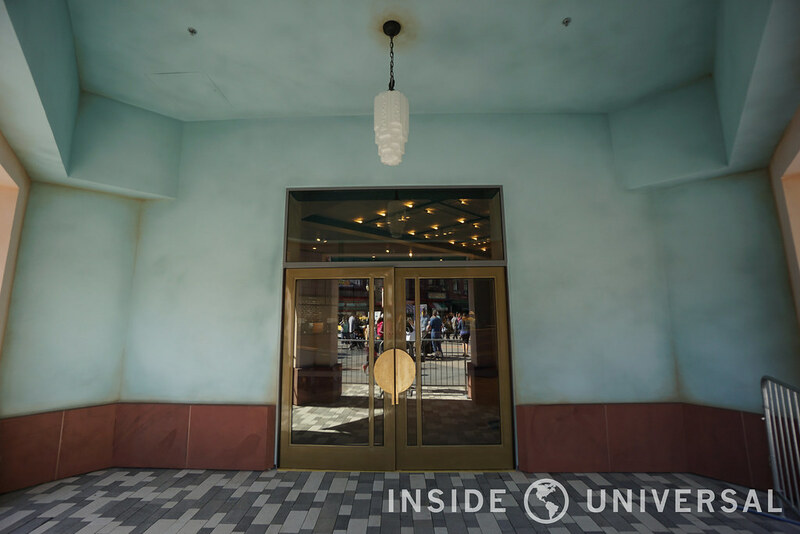 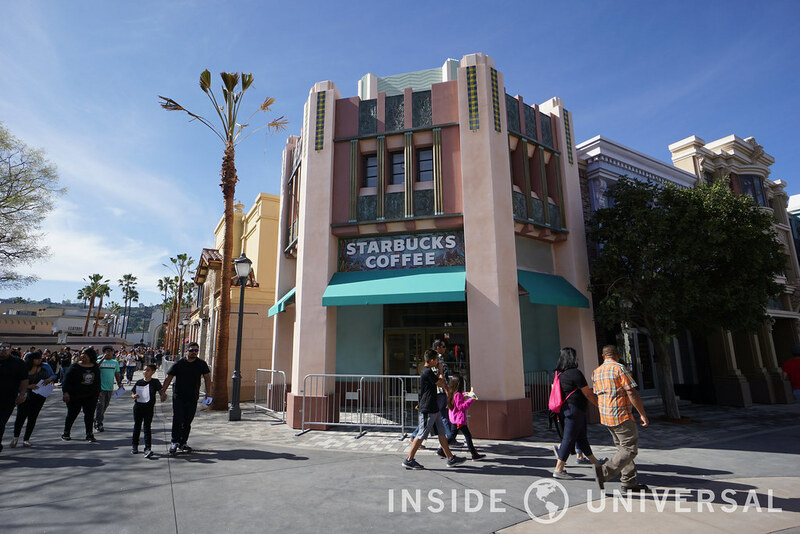 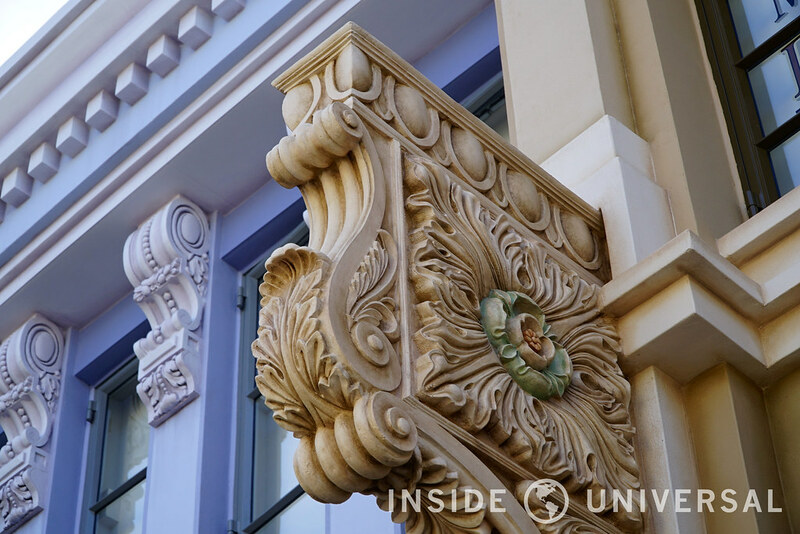 Combining a retail extension of the Universal Studio Store, a new Starbucks and a flex-space, Universal Boulevard is an amalgamation of themes aimed at streamlining the park’s previously disjointed entryway into one large structure. 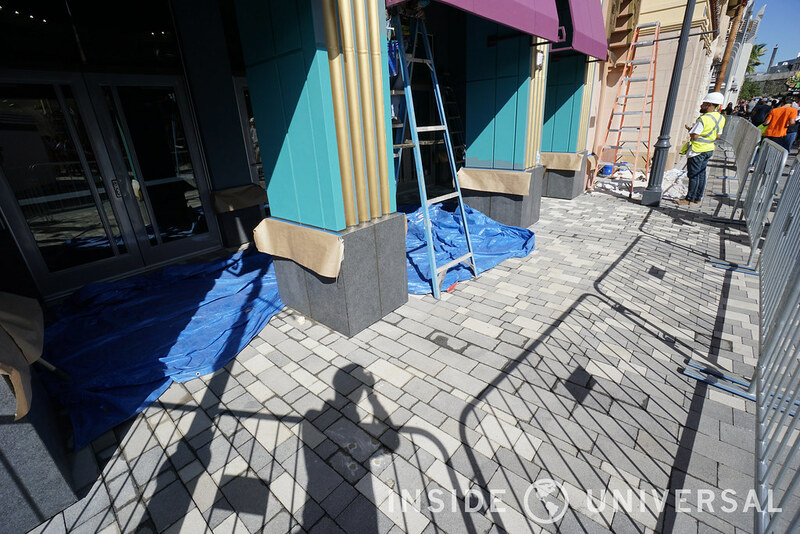 However, while walls may be down on the left side of the entry, the right side remains walled off as crews continue to work on repaving the flooring near Feature Presentation and Hollywood Photoland. 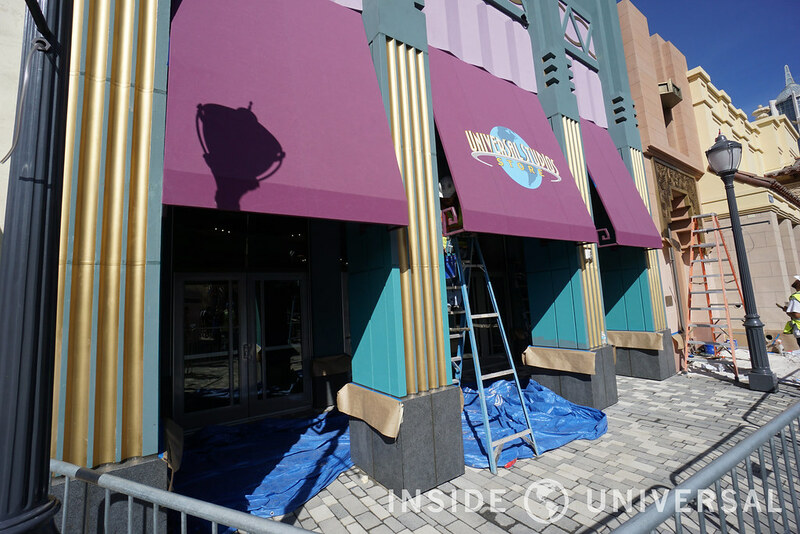 Mel’s ongoing refurbishment has also progressed – at least externally – with crews repainting the iconic facade. 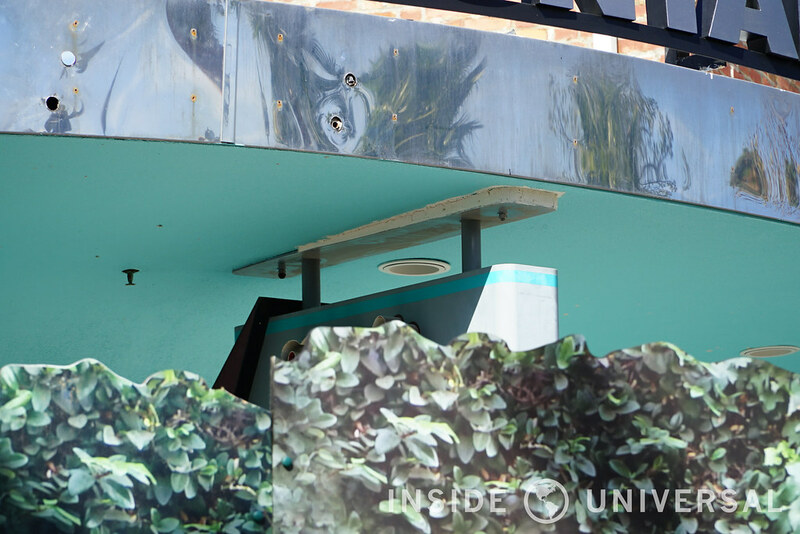 However, while the exterior has seen some notable enhancements, the building still appears to need some work. 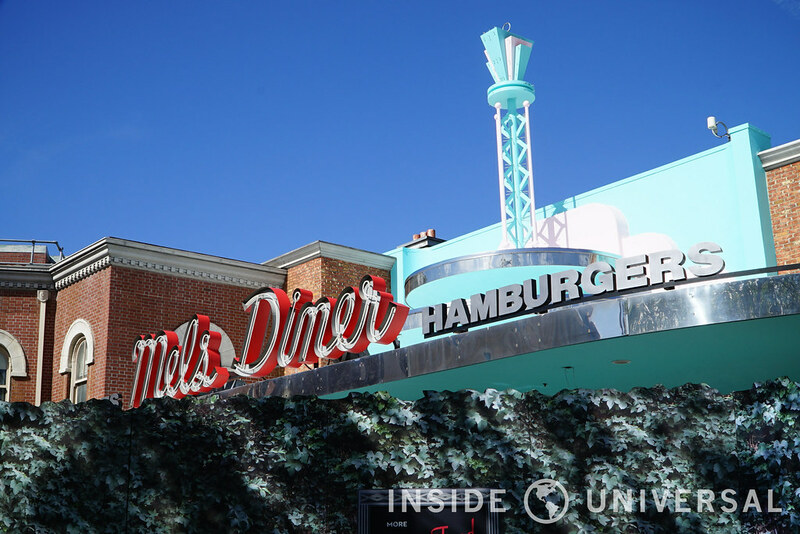 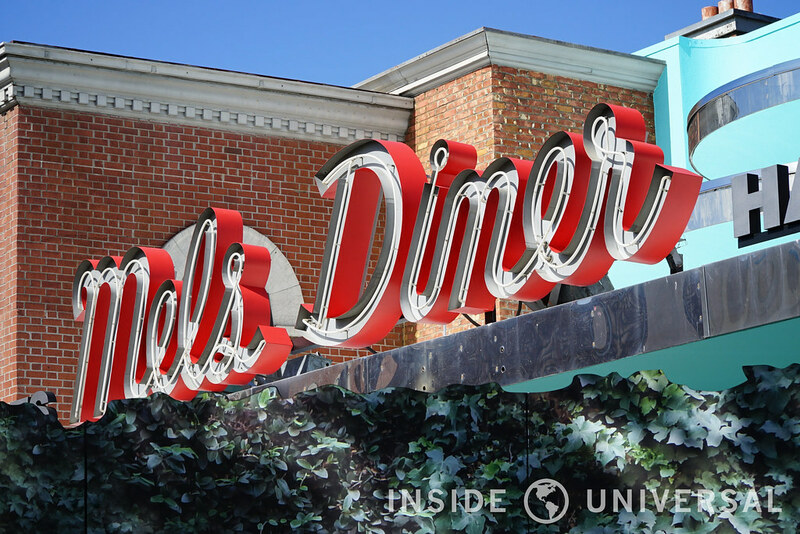 While no reopening date has been specified, we’re going to assume that Universal will reopen Mel’s by April 7 – the opening date for The Wizarding World of Harry Potter. 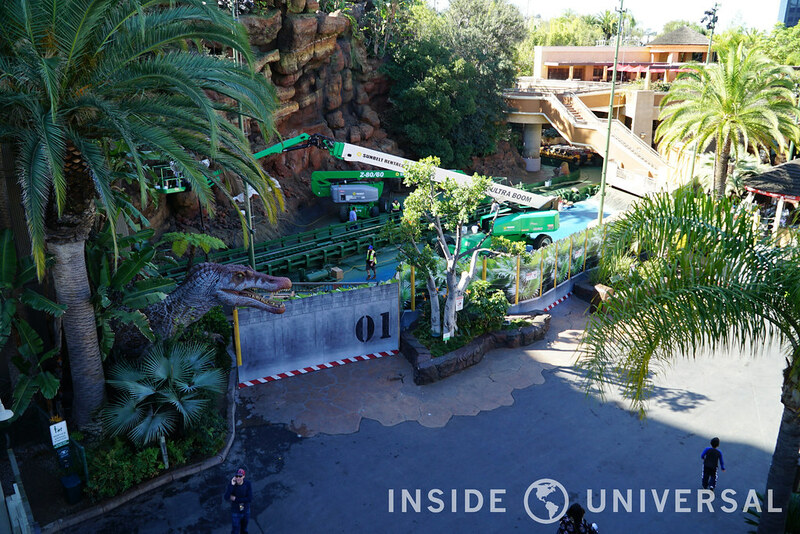 Proceeding on to the Lower Lot, Jurassic Park: The Ride has seen its construction walls pulled back as crews remove their heavy machinery from the ride’s splashdown. 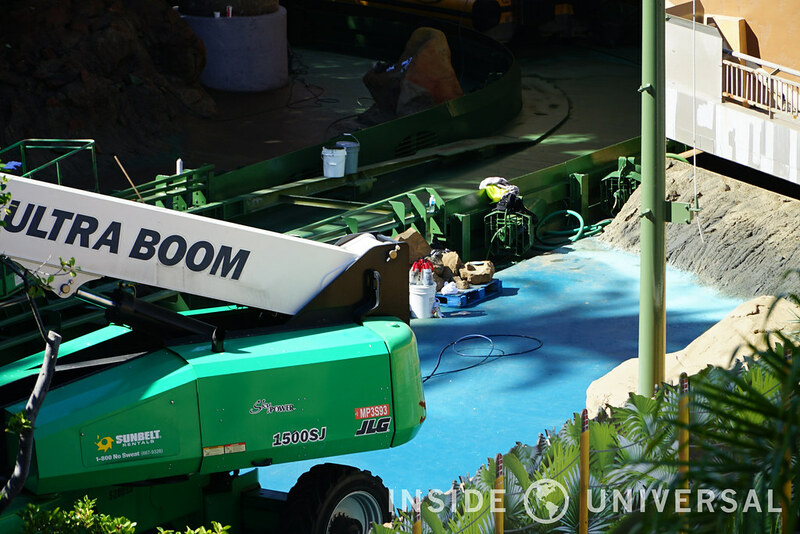 Along with the newly repainted rock work, crews have also begun painting the lagoon blue. 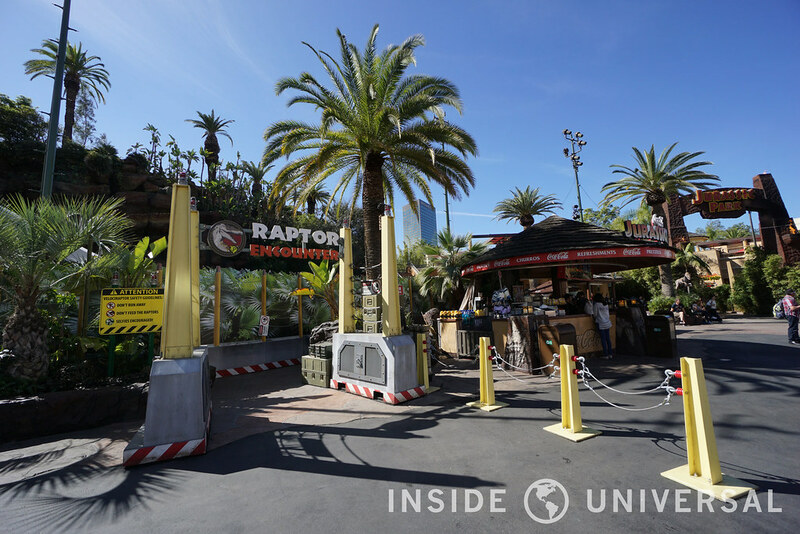 With the walls pulled back, the Raptor Encounter photo-opportunity has been revealed with little change. 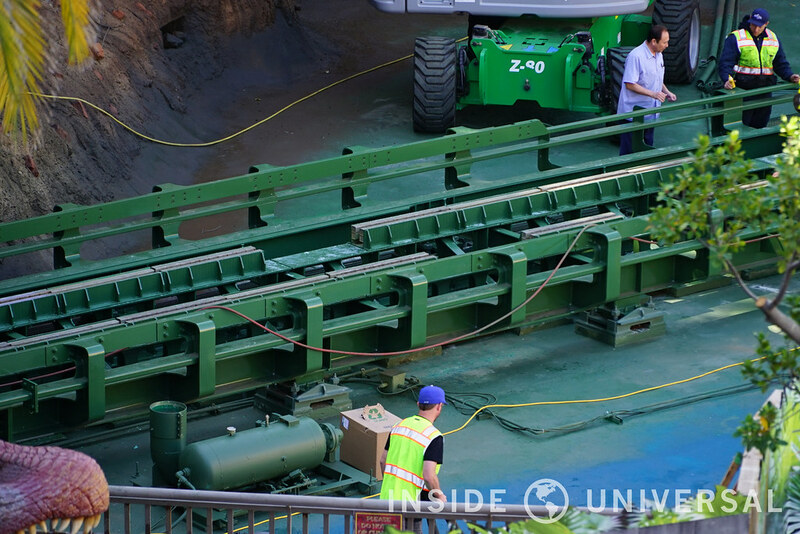 Moving across the aisle, construction crews have been spotted in the extended queue at Revenge of the Mummy: The Ride. 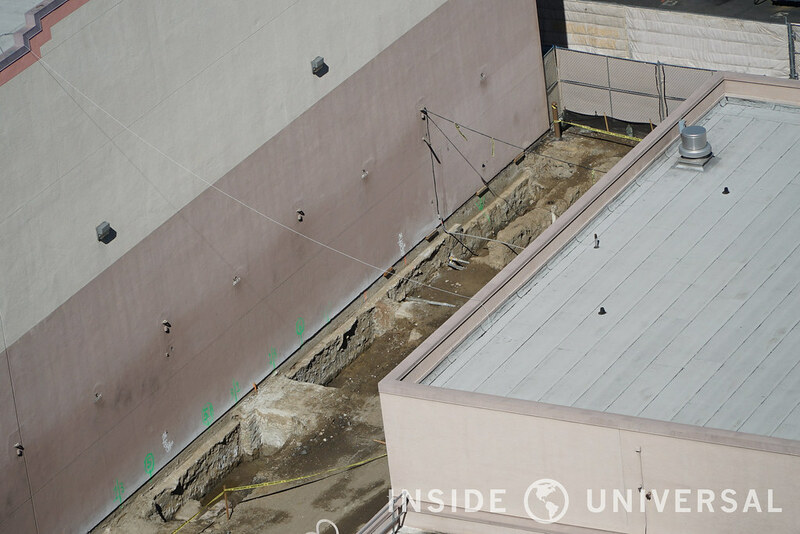 With crews exposing the infrastructure of the building, one has to wonder what Universal has in store for the attraction in the future. 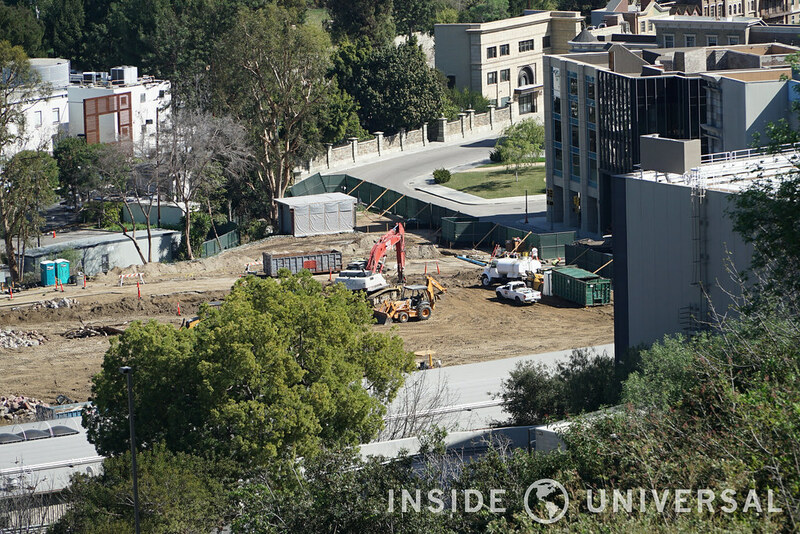 Moving deeper in the Lower Lot, crews have appeared to finish the bulk of the structure’s new external new design. 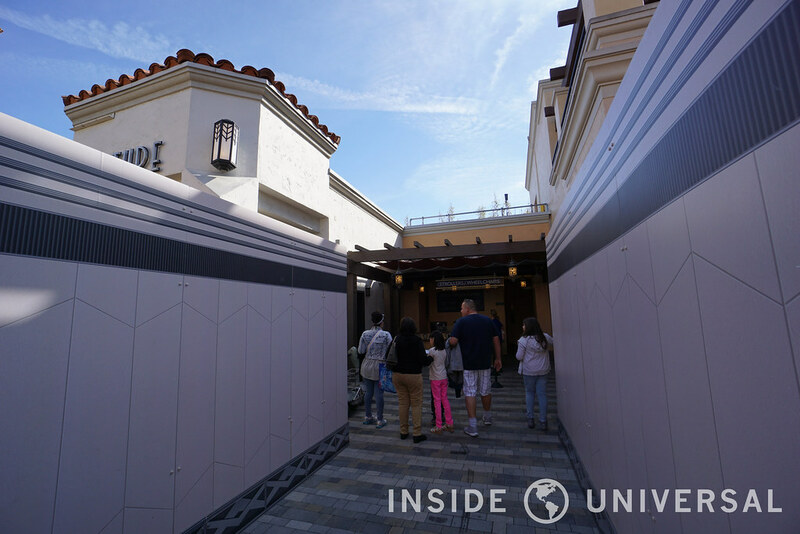 Matching the same stylized Lower Lot design motif, the new structure features a tall facade that wraps around the building. 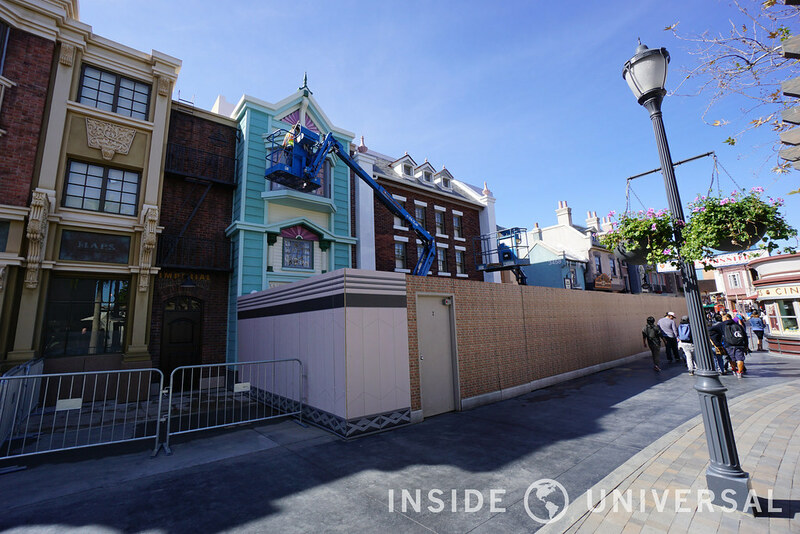 Finally, not much work has occurred on this portion of the backlot since our last update. 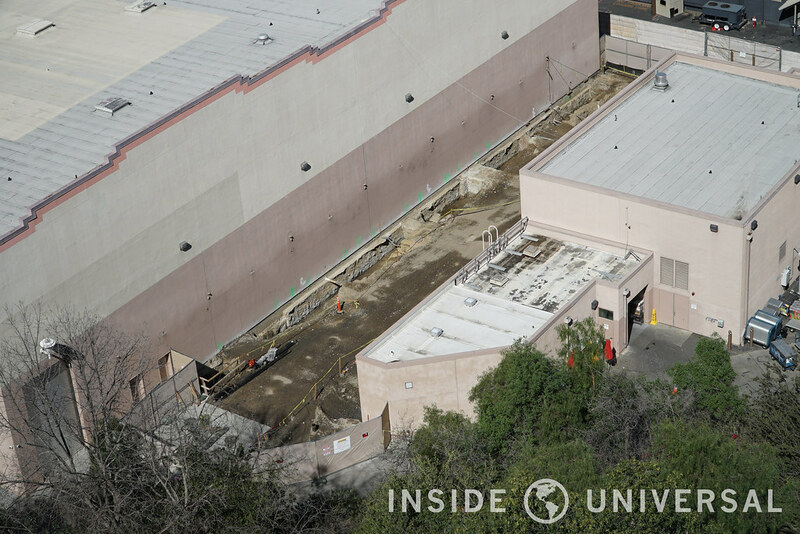 With the storage facilities gone, Universal will most likely be updating their studio with newer facilities in this location. 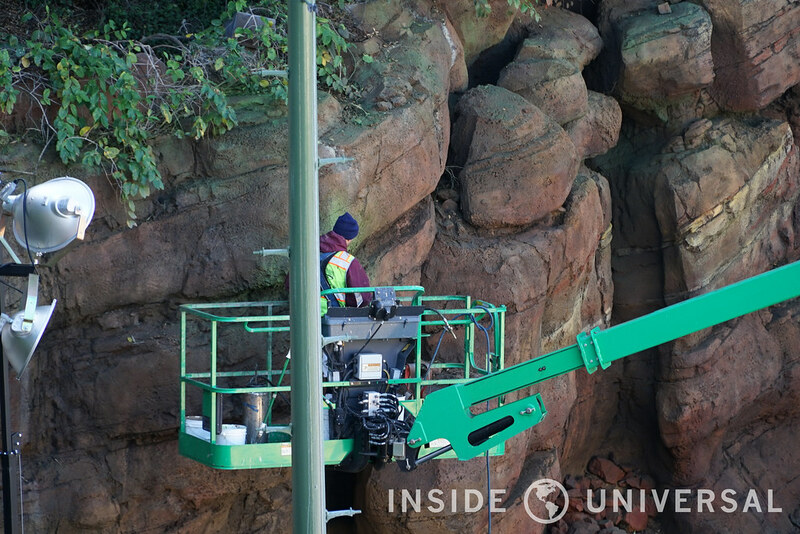 That does it for this month’s photo update. 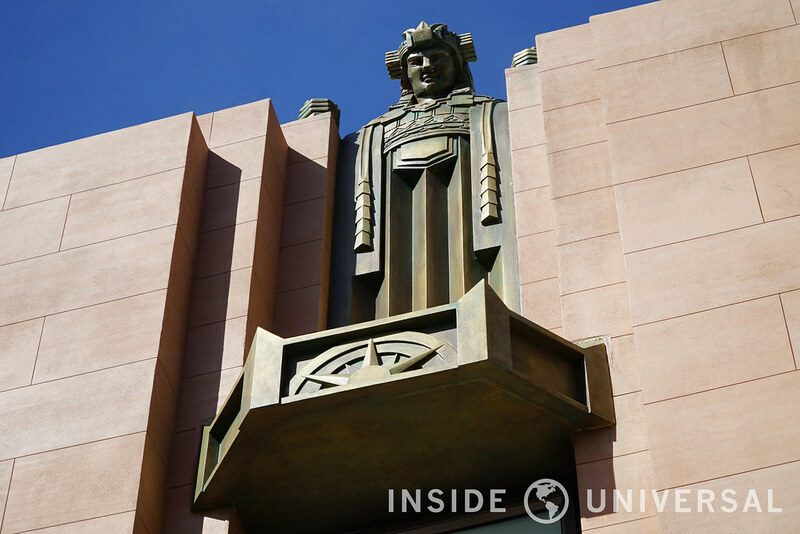 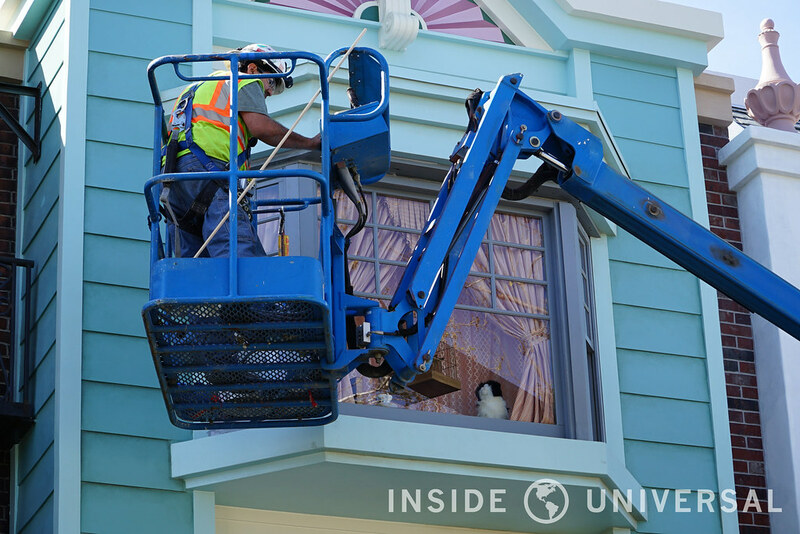 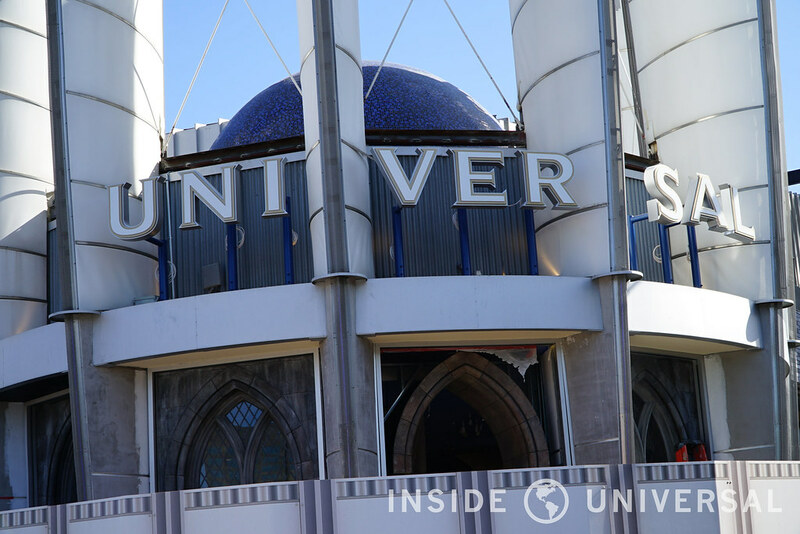 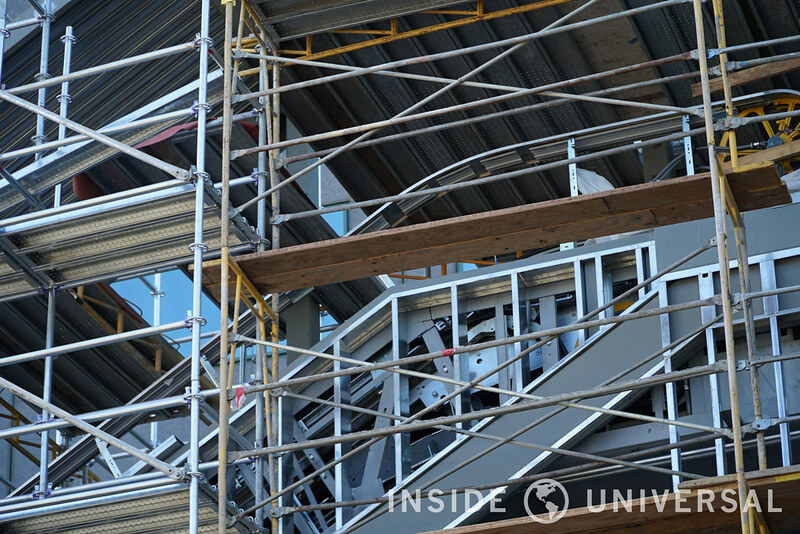 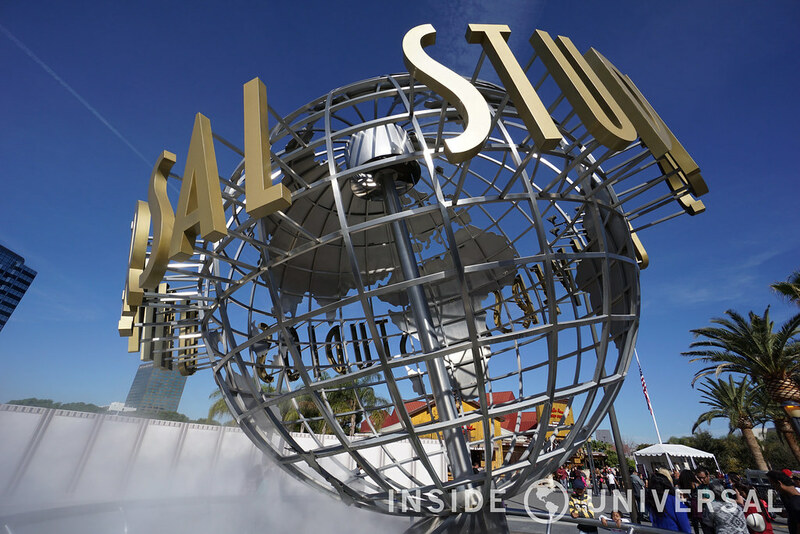 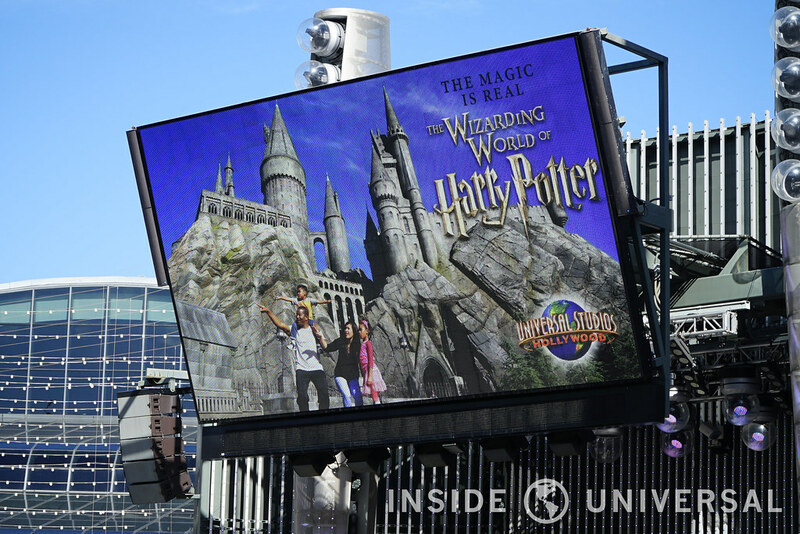 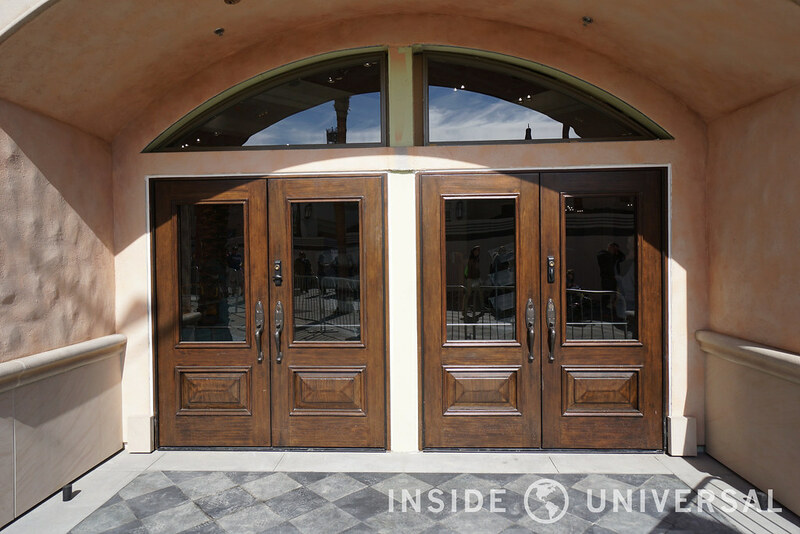 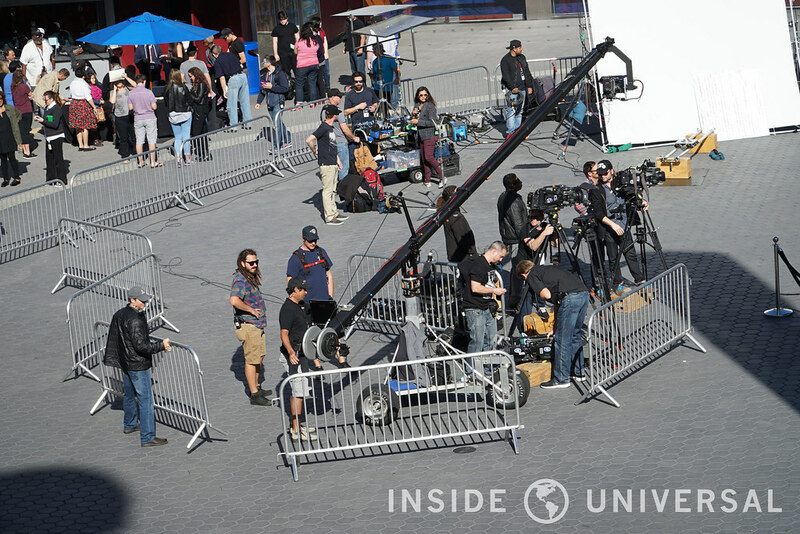 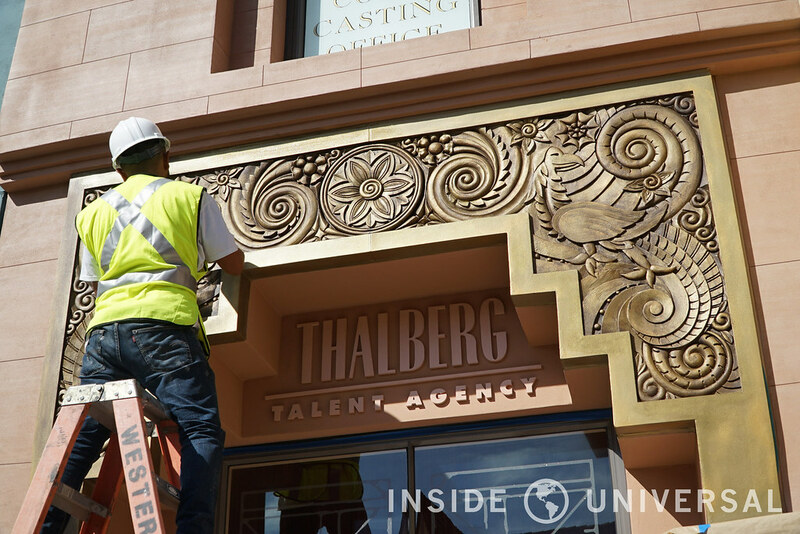 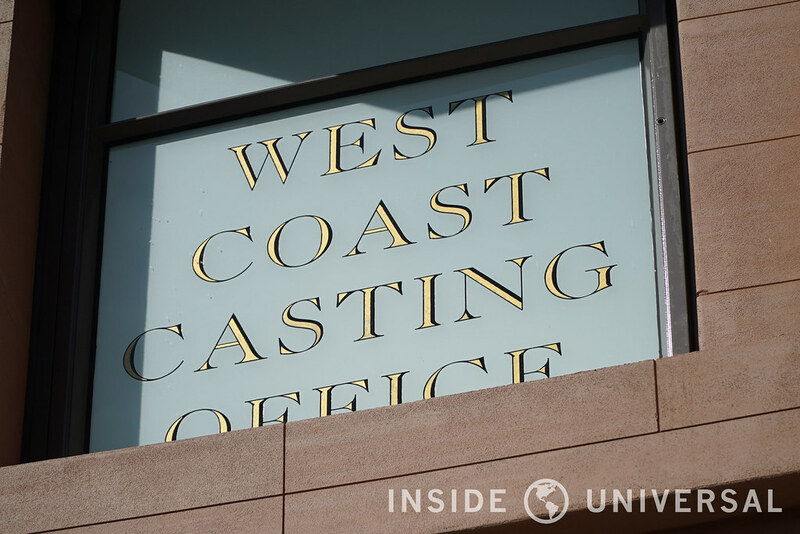 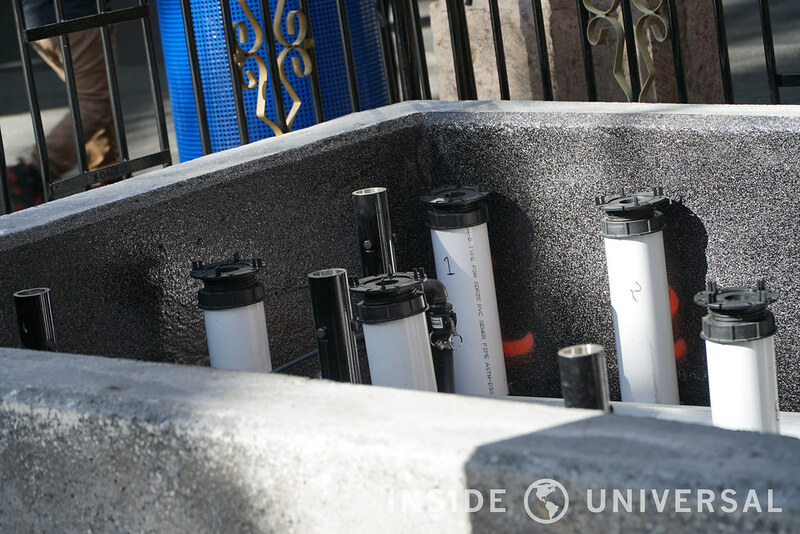 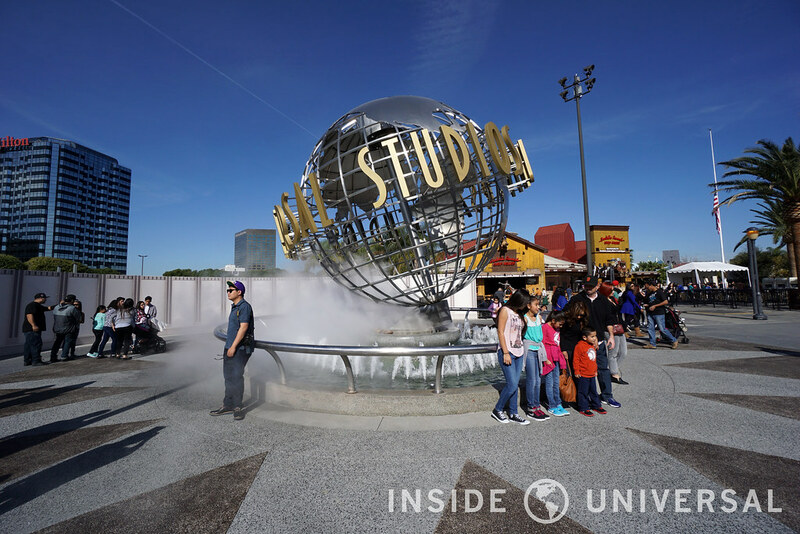 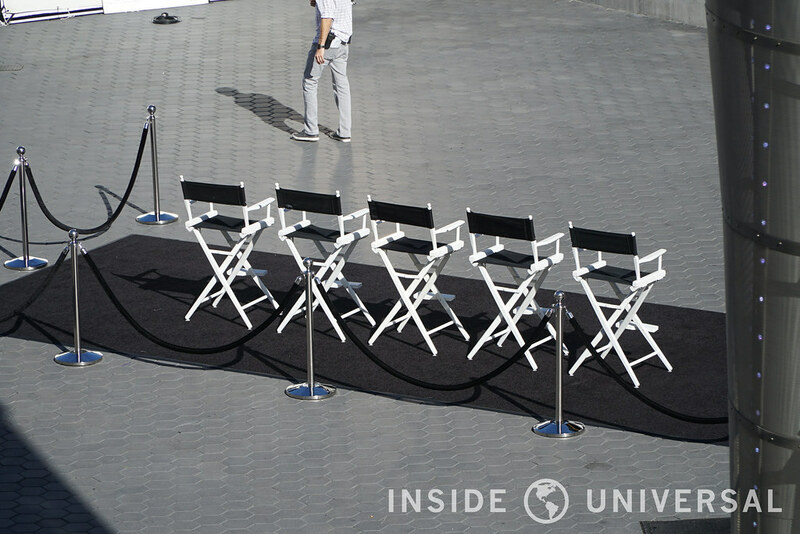 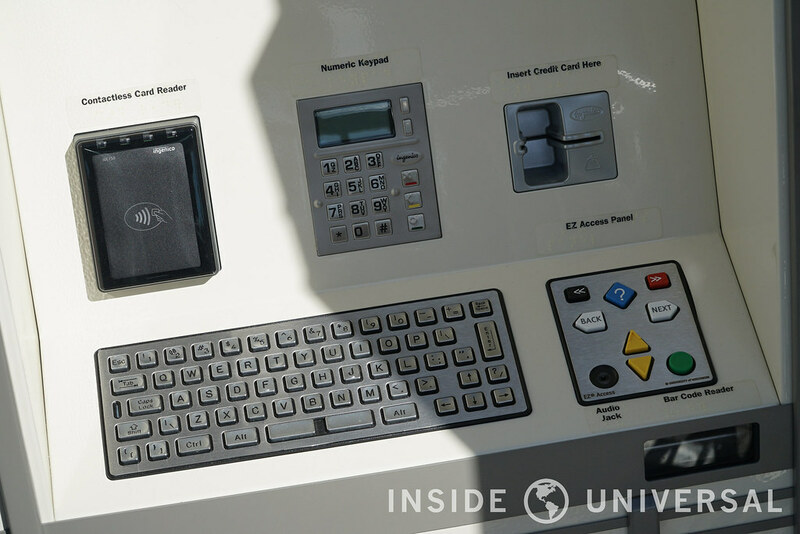 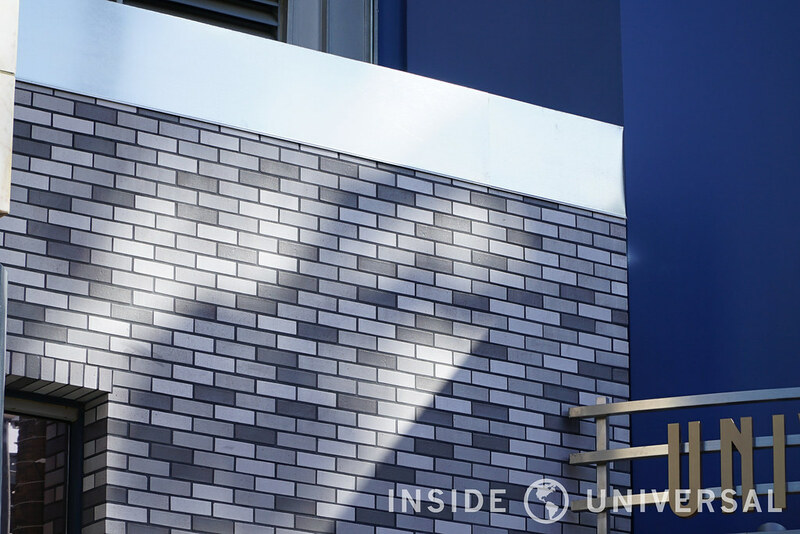 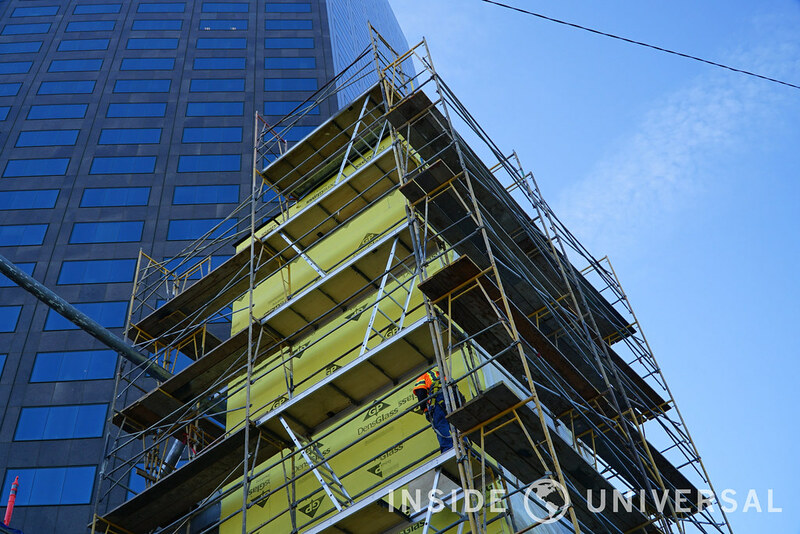 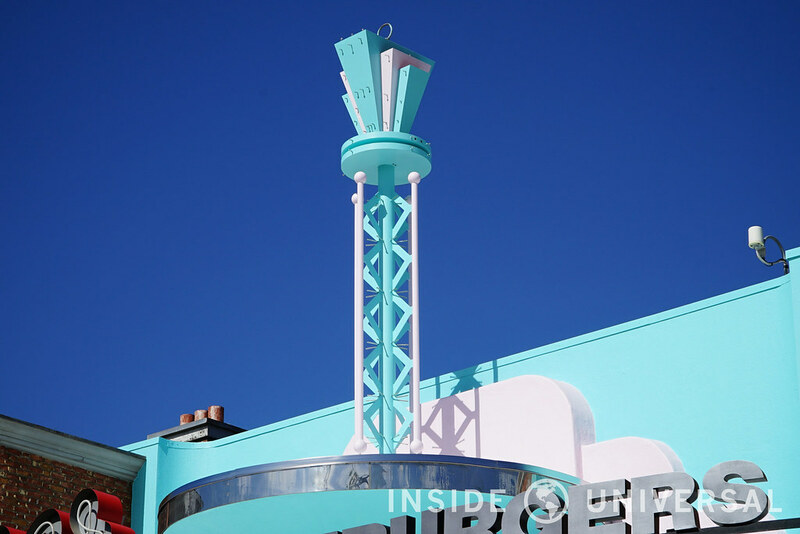 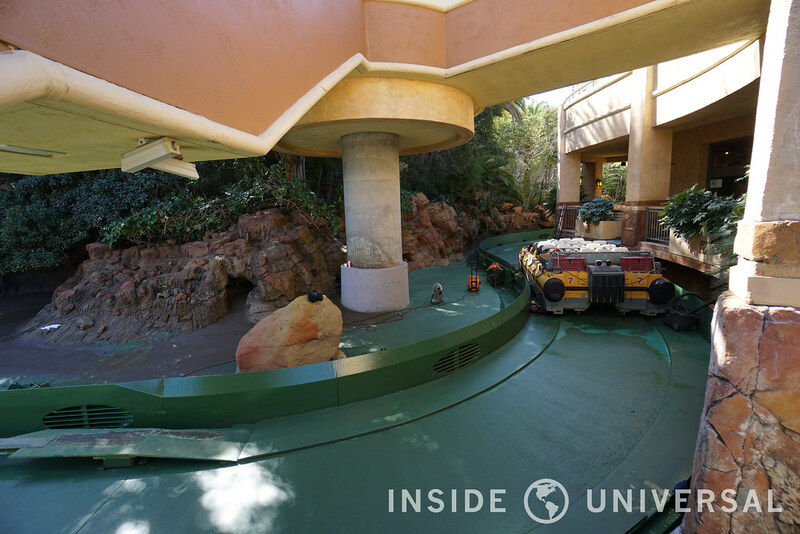 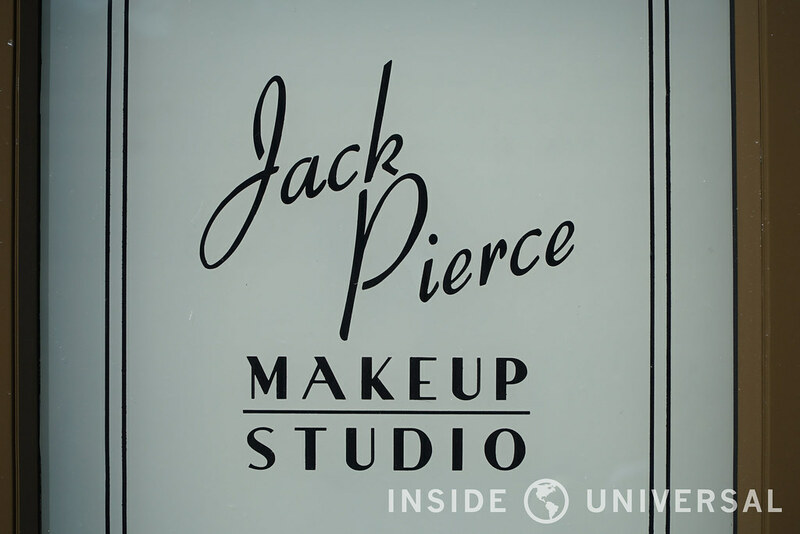 Thanks for following and reading Inside Universal – the leading third party source for Universal Studios Hollywood. 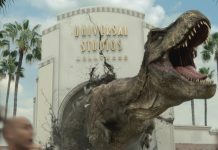 Be sure to follow us on Twitter, Facebook and Instagram and hit up the discussions currently occurring over at USHForums.com. 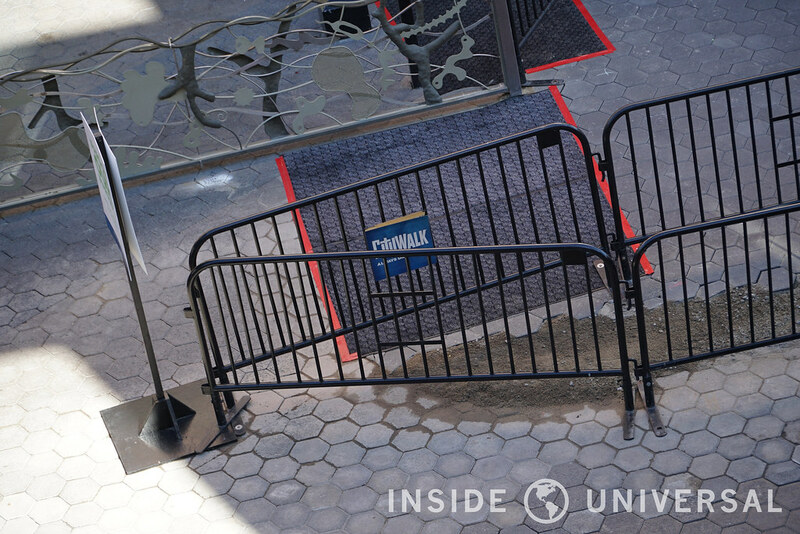 Thank you for reading and we’ll see you in the next update.